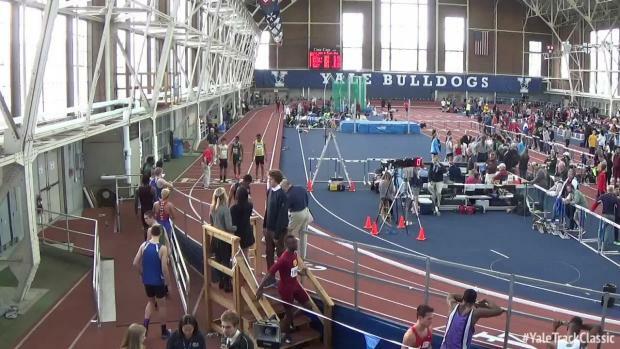 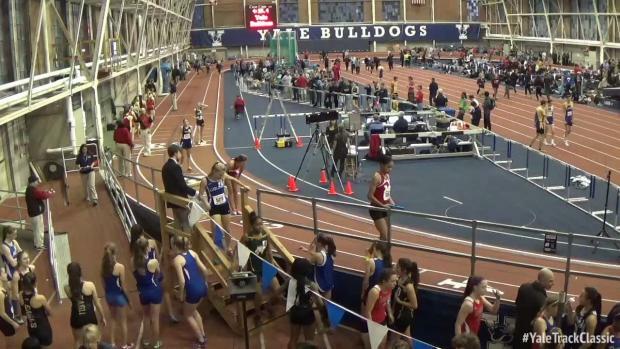 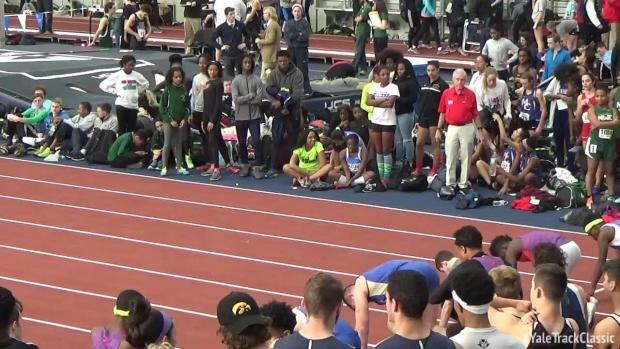 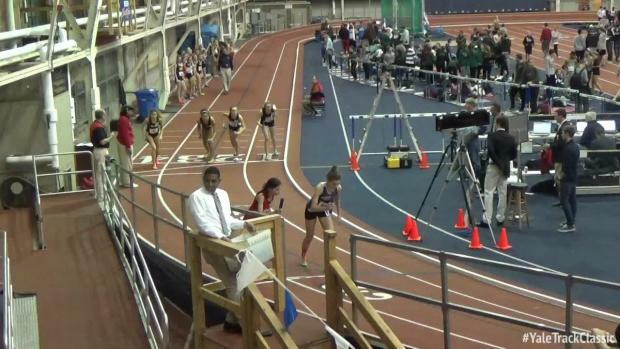 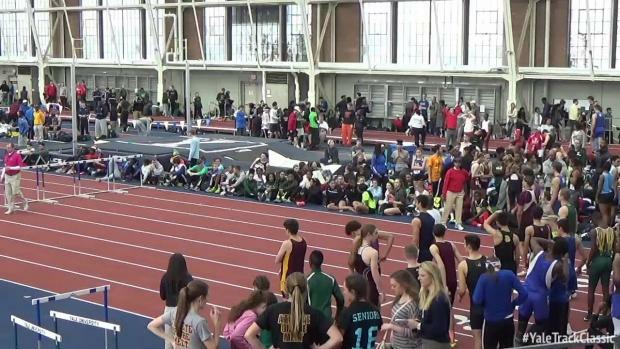 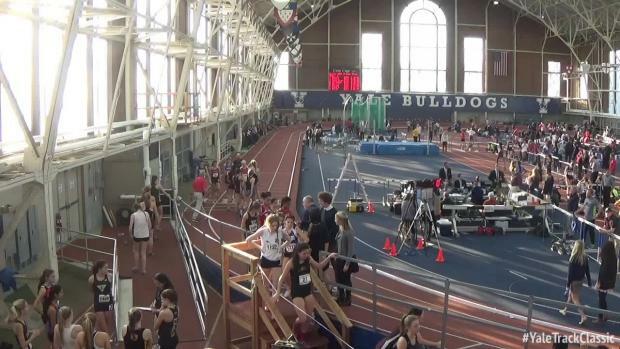 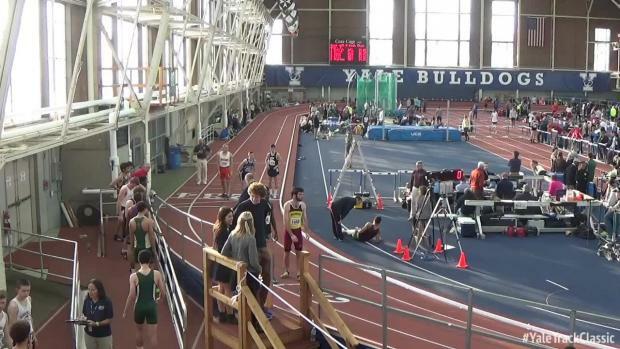 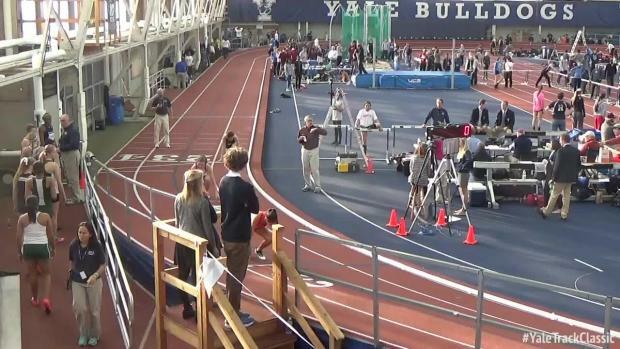 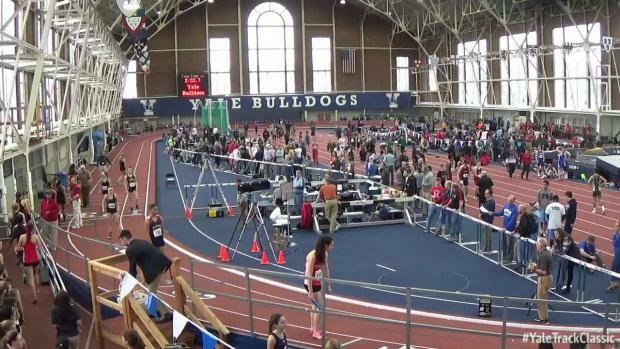 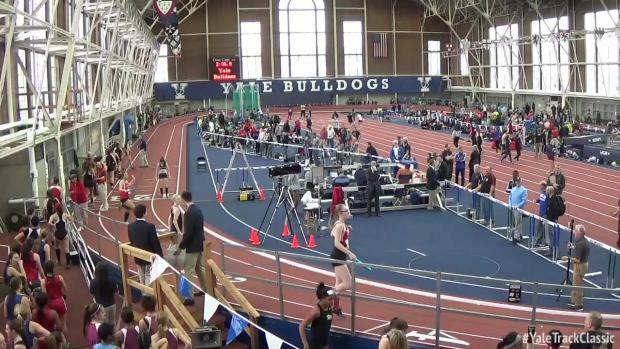 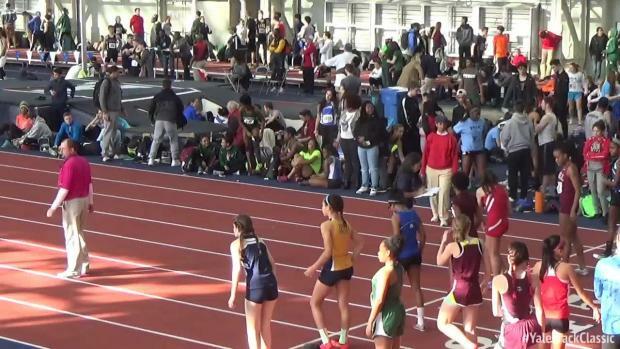 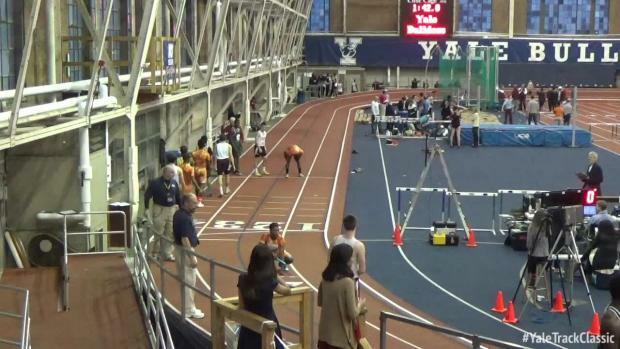 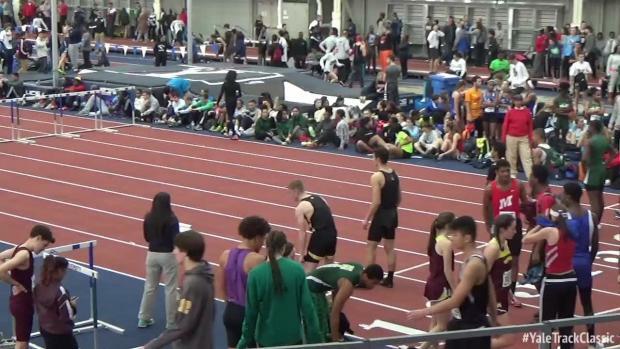 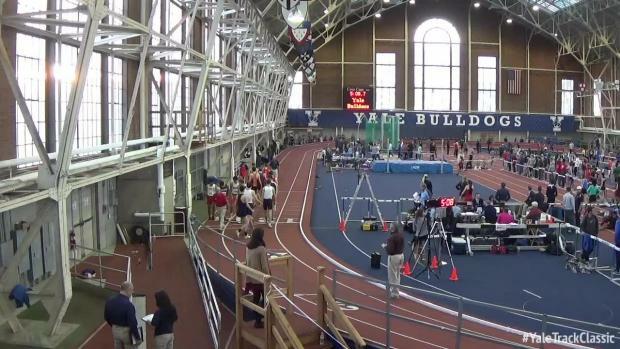 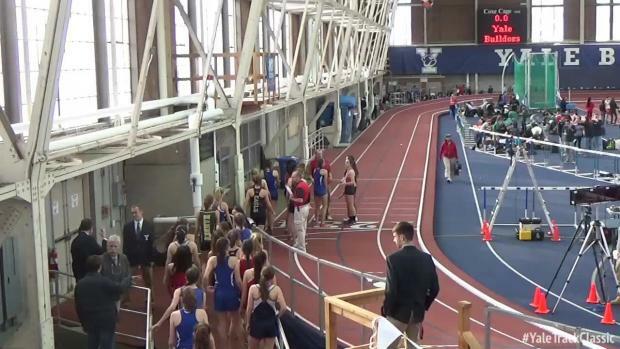 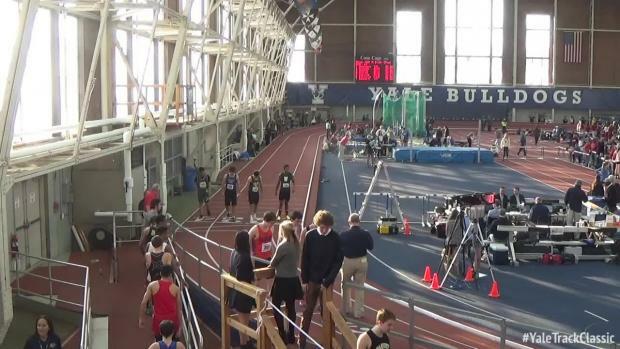 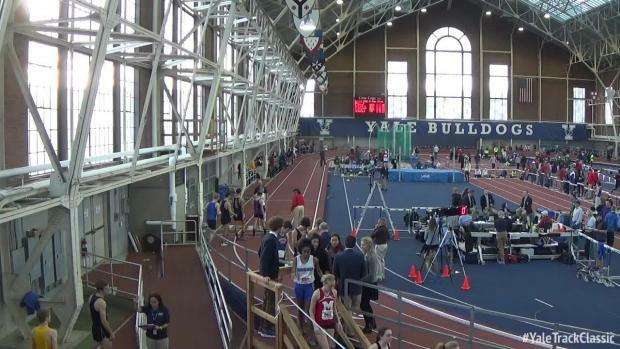 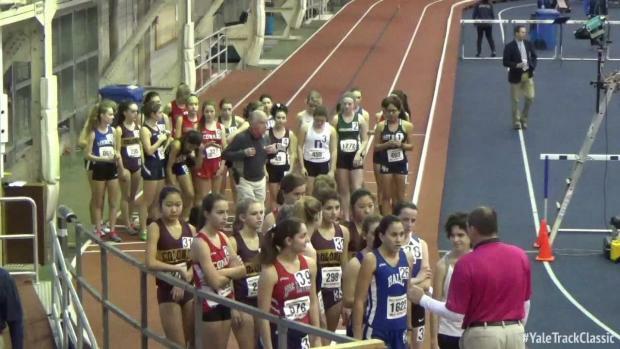 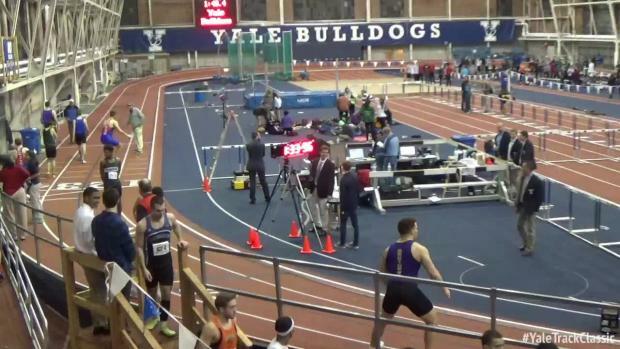 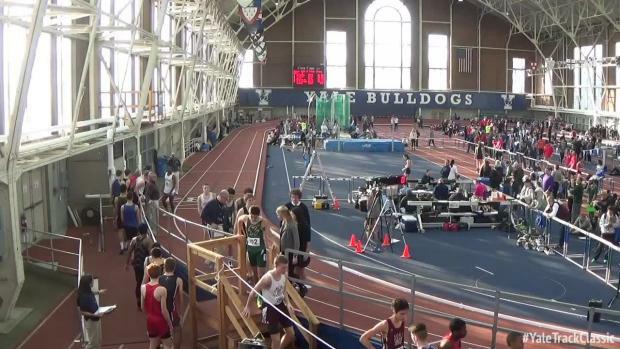 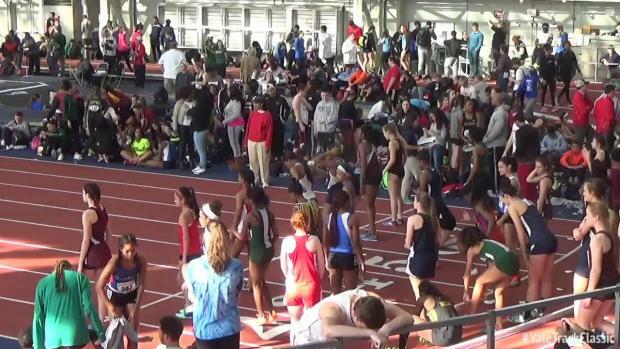 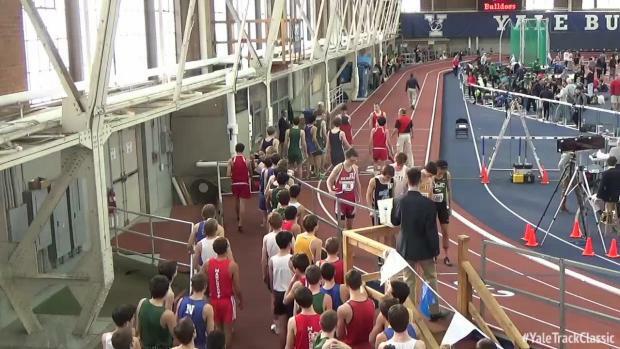 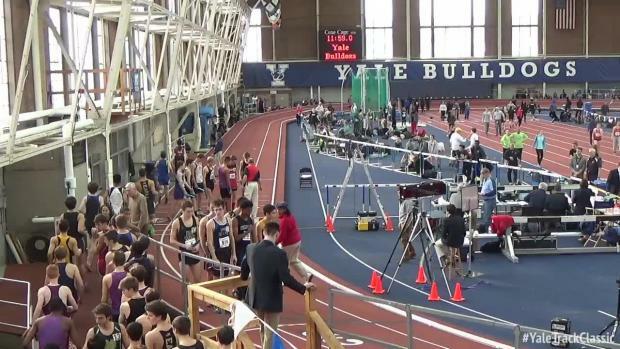 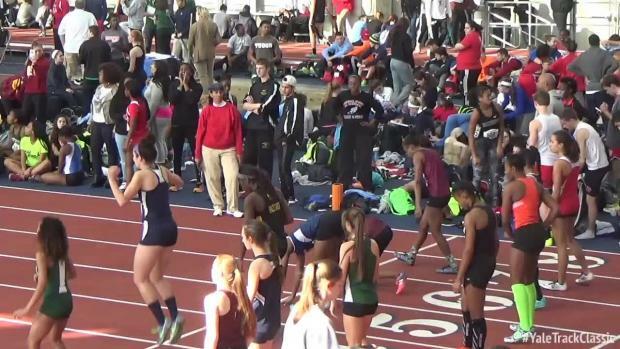 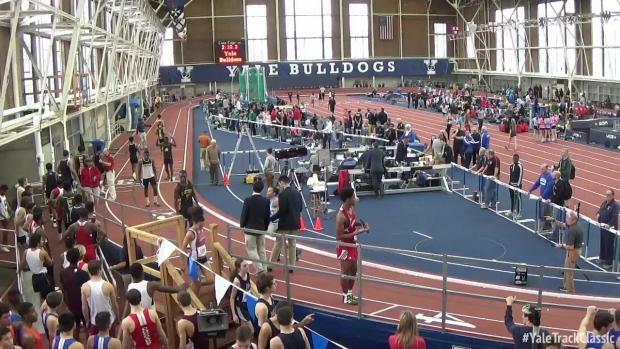 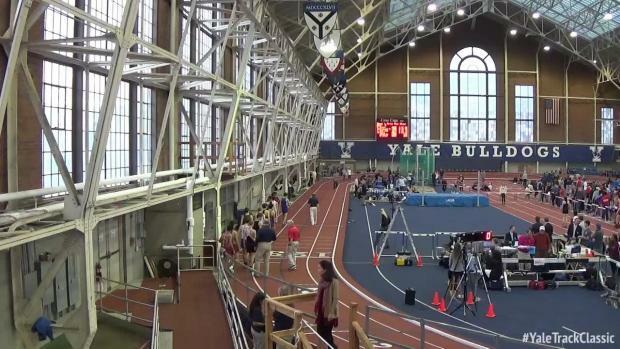 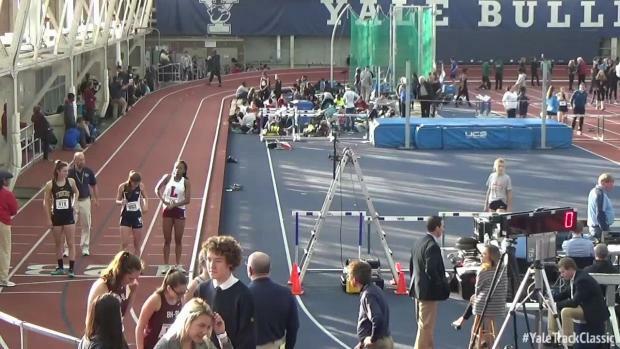 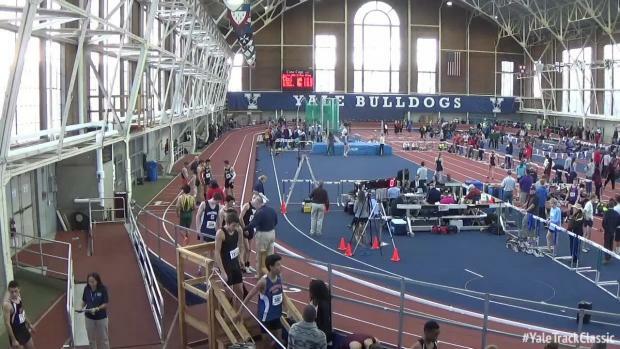 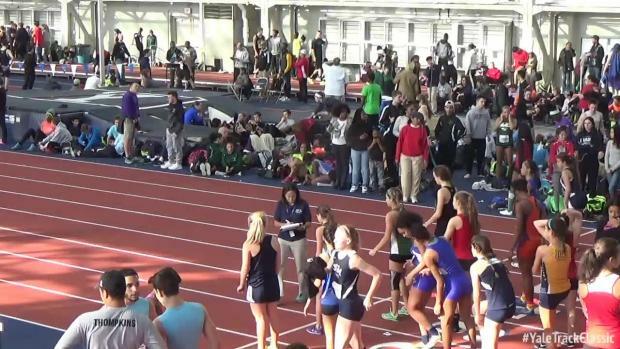 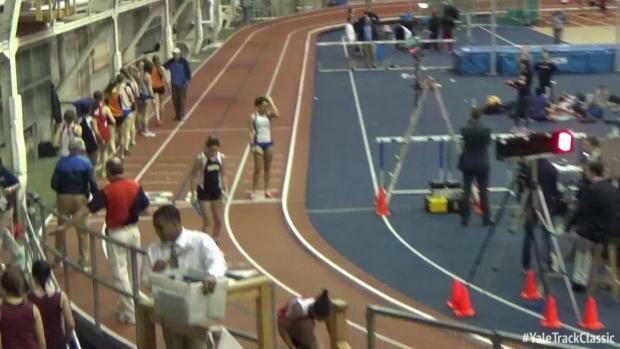 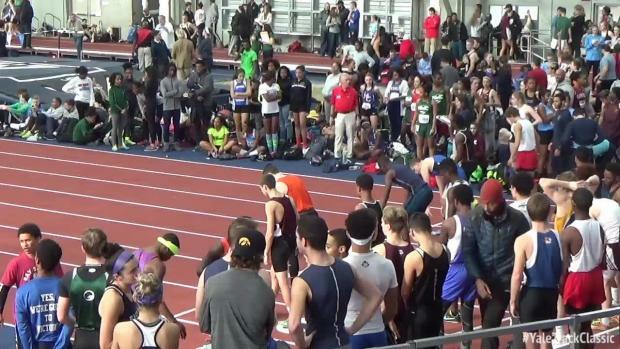 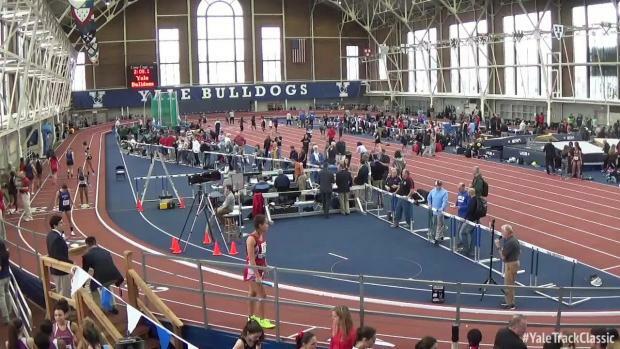 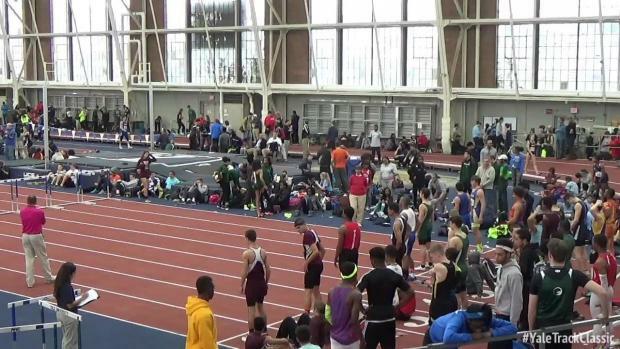 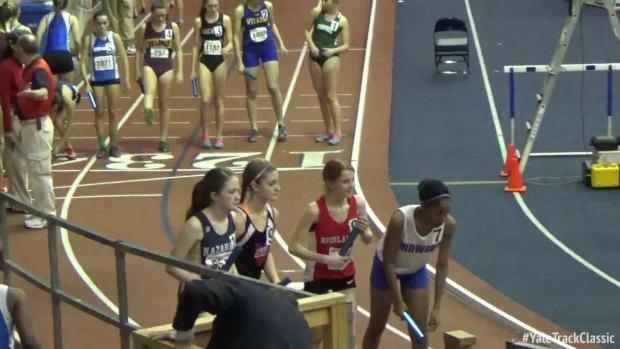 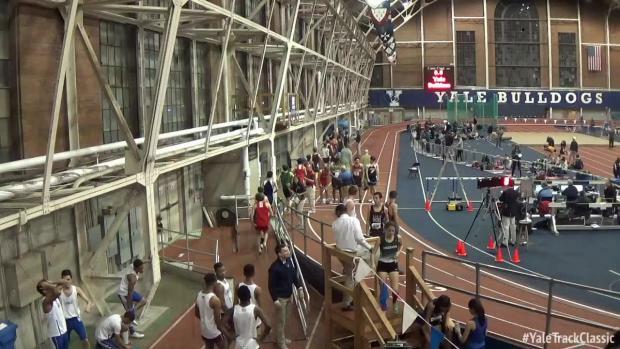 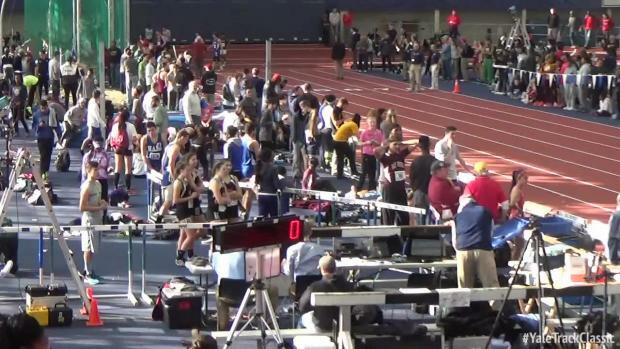 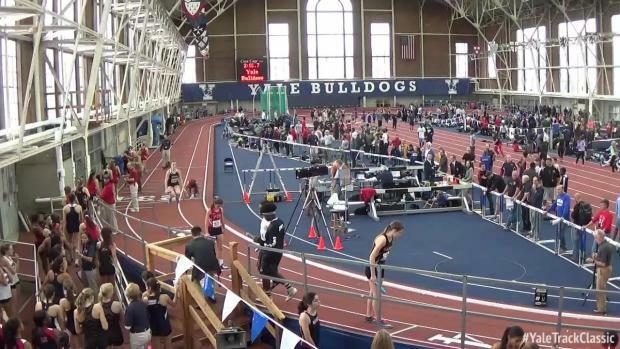 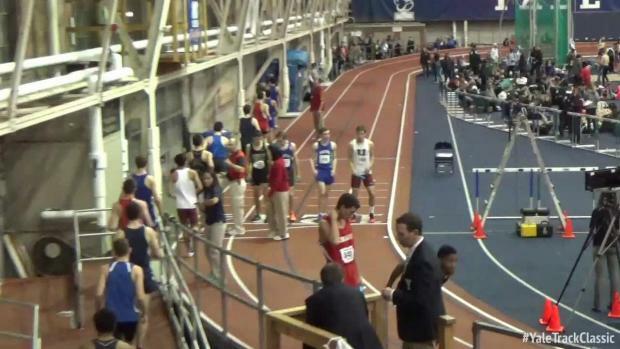 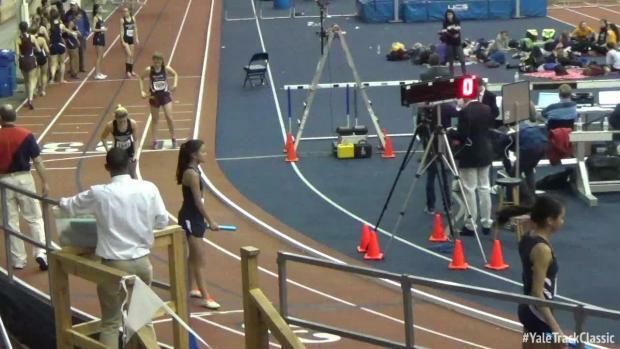 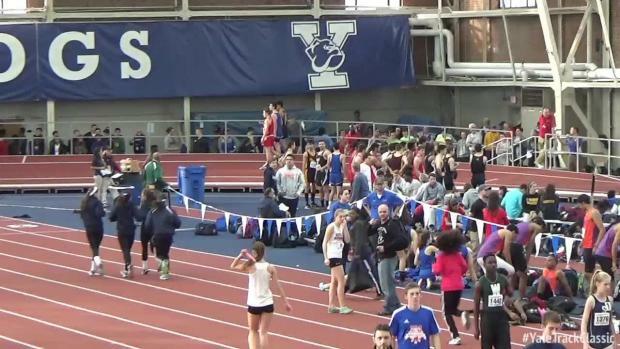 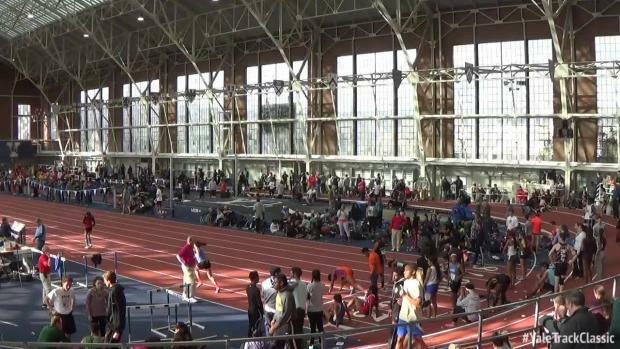 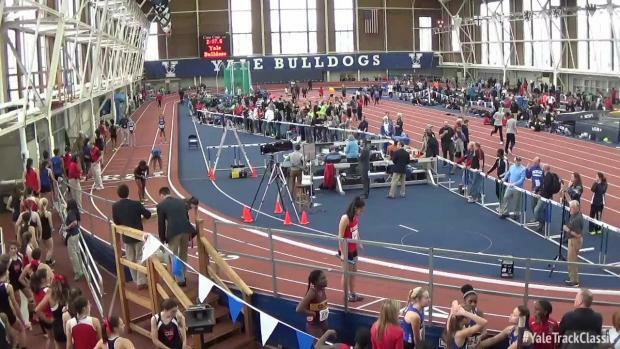 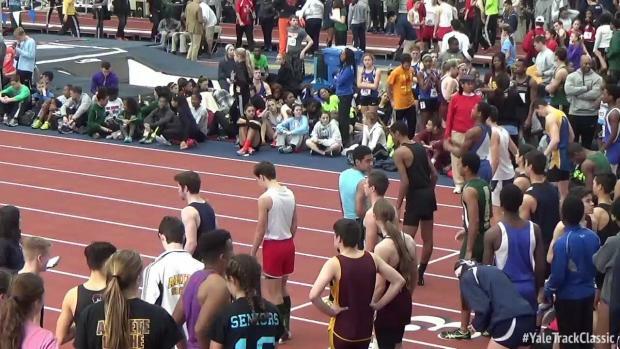 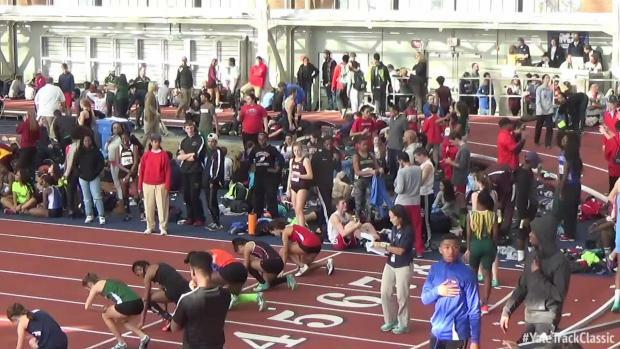 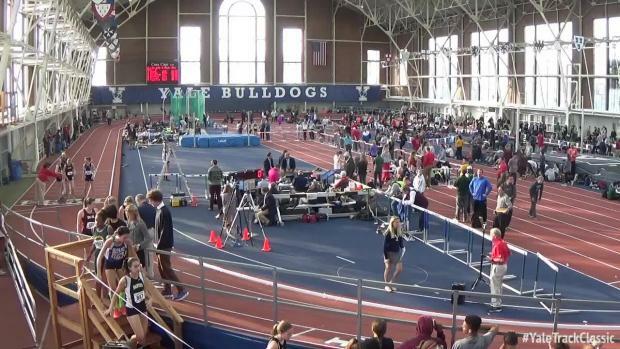 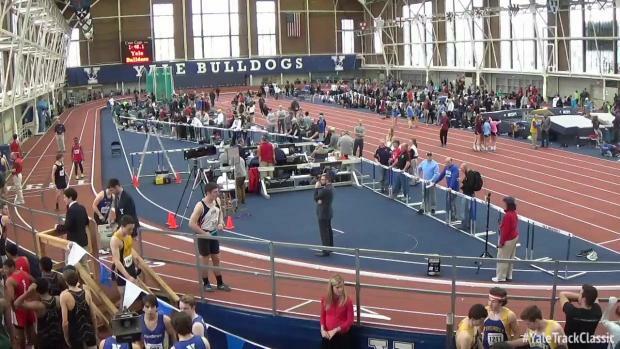 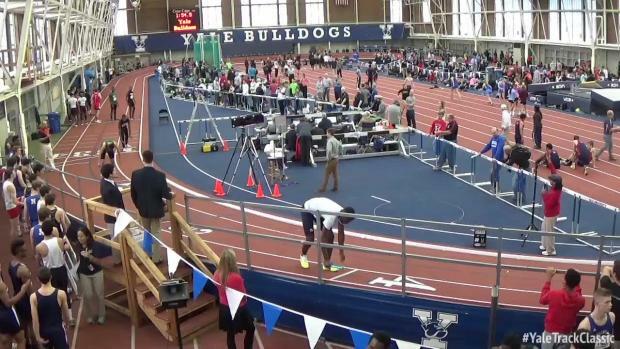 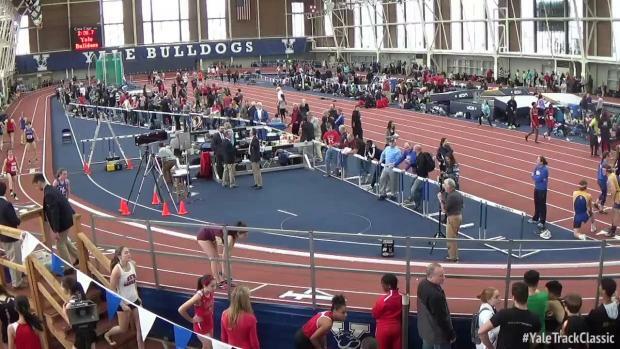 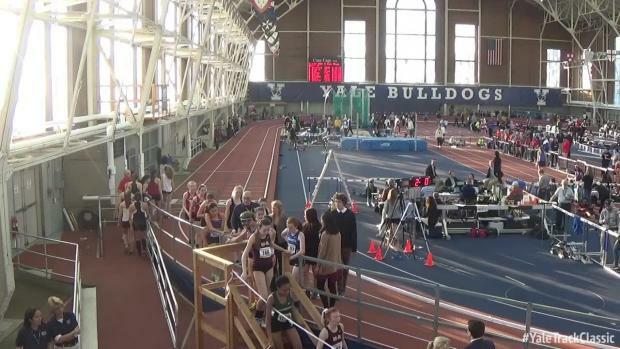 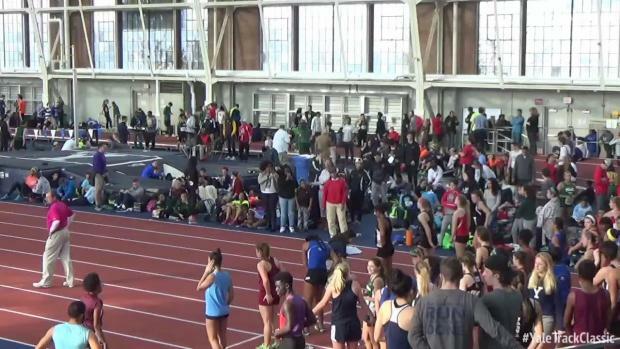 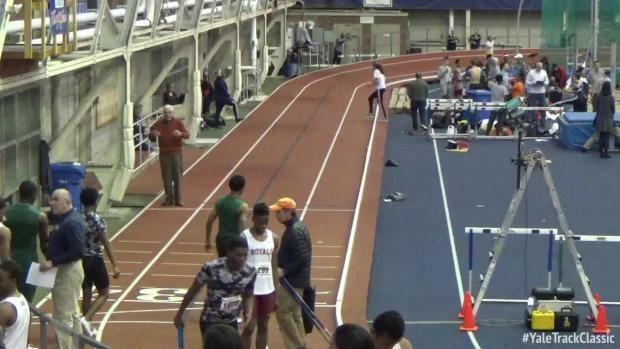 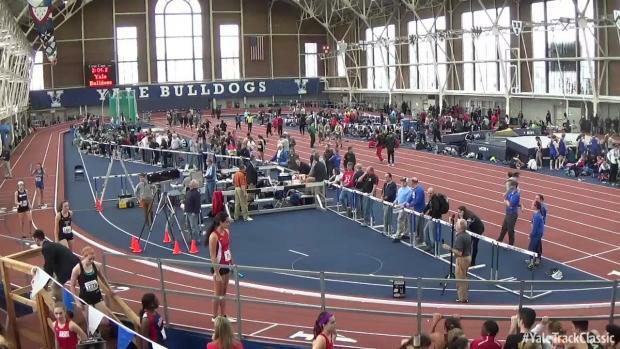 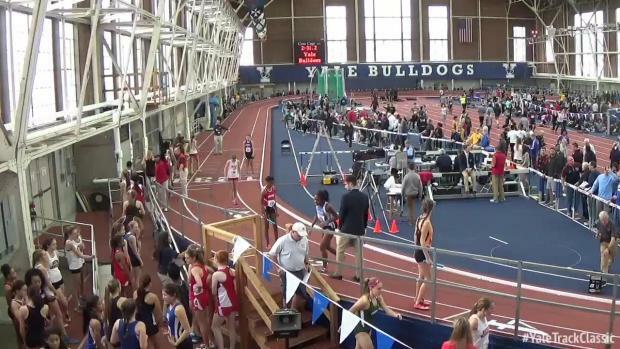 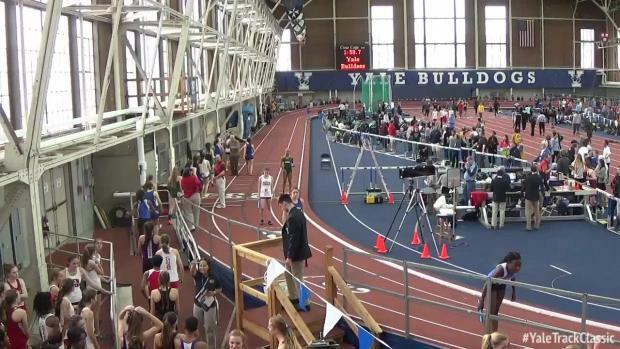 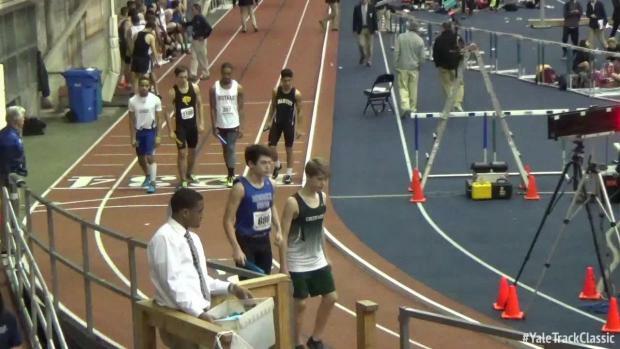 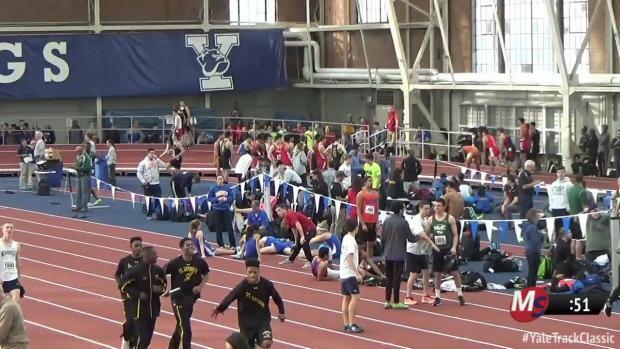 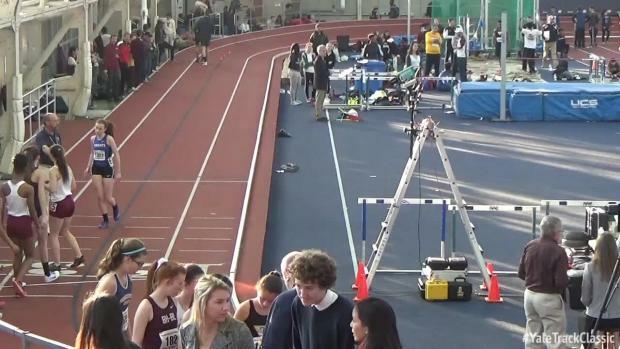 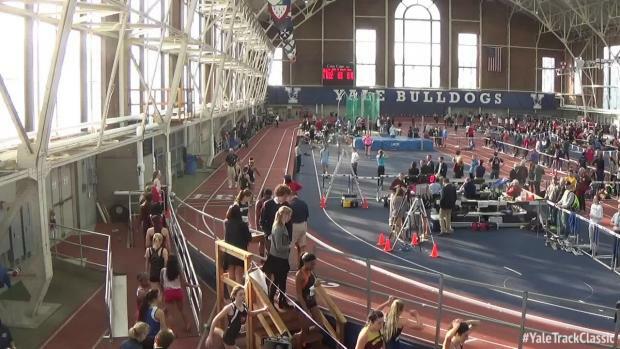 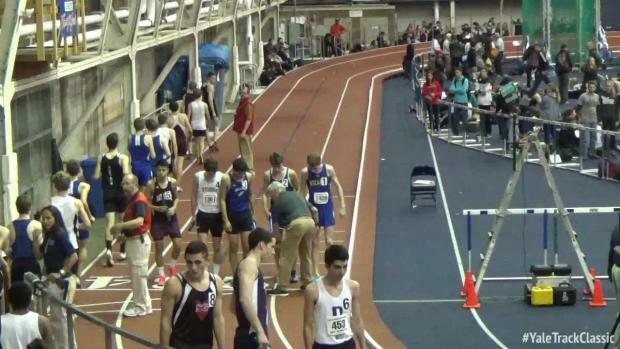 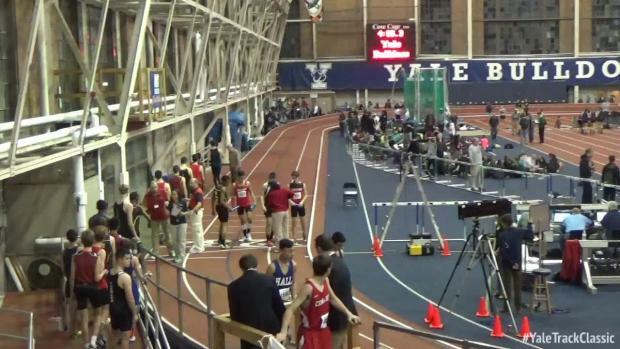 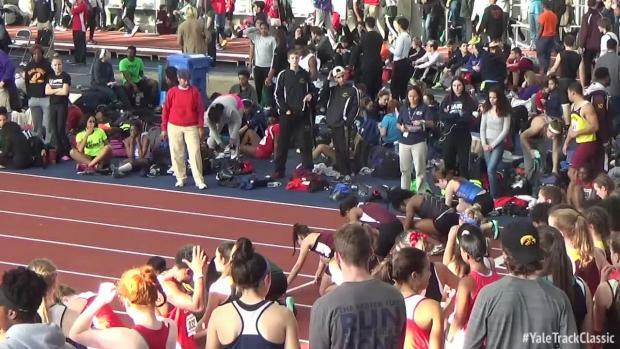 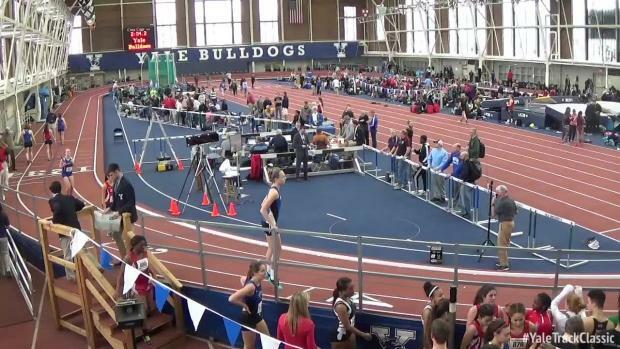 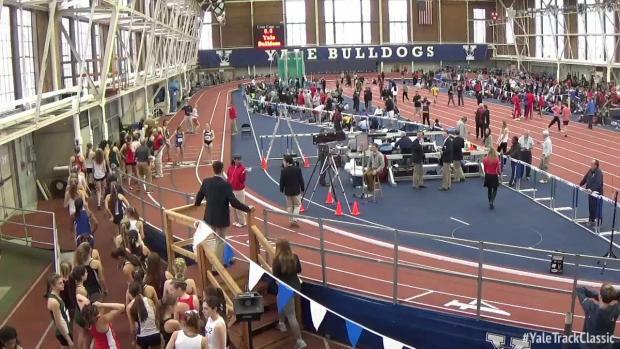 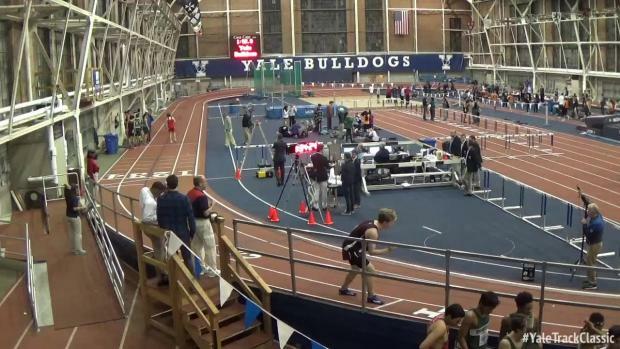 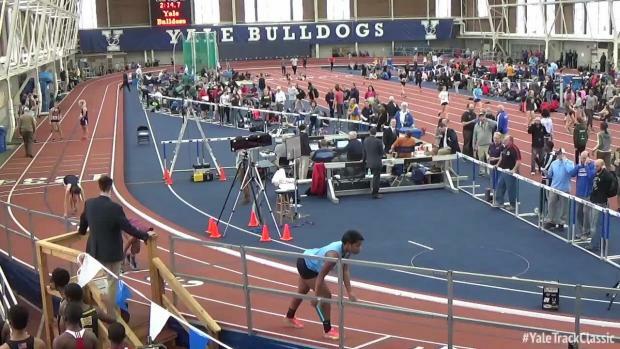 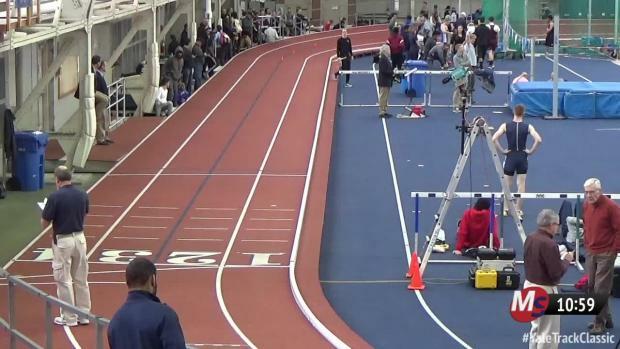 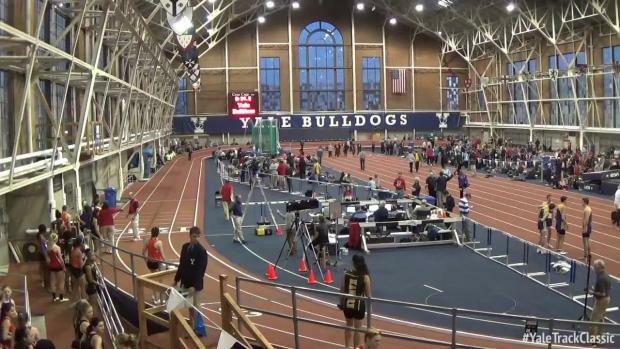 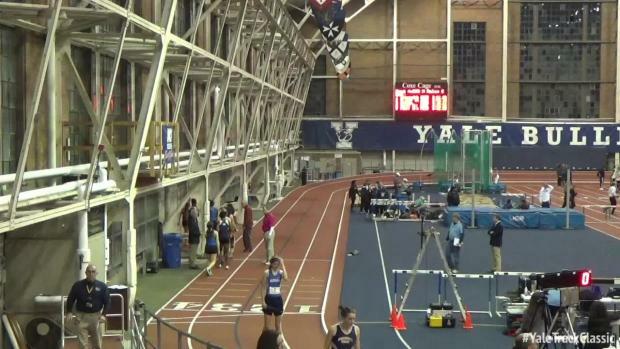 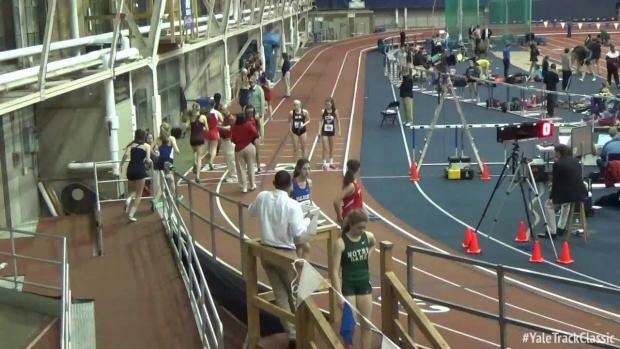 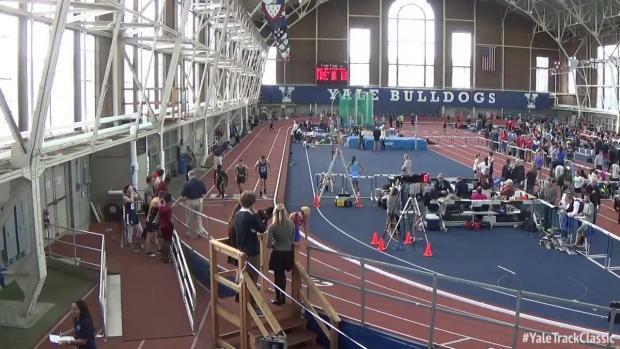 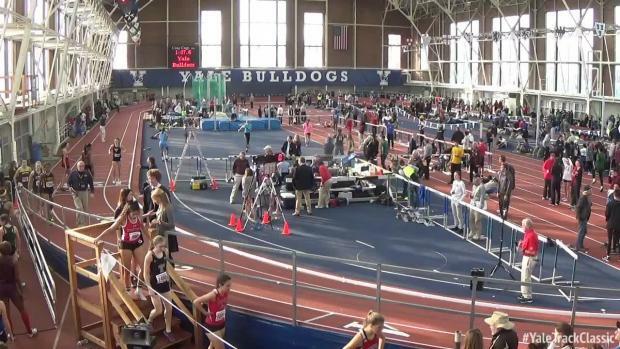 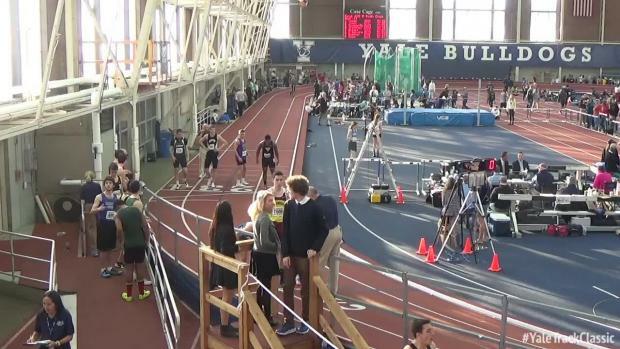 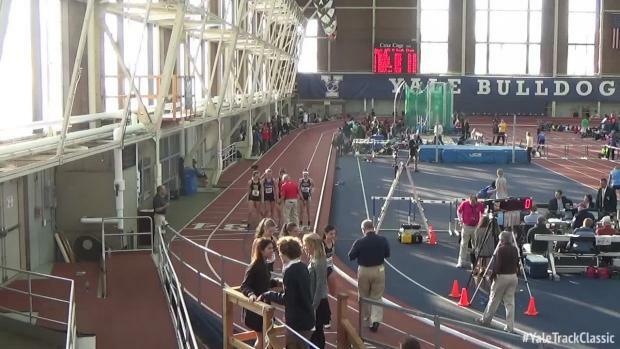 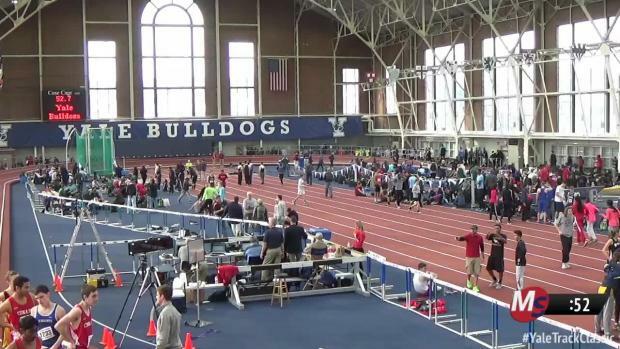 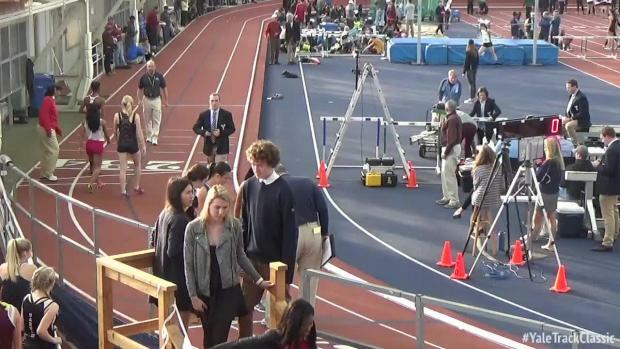 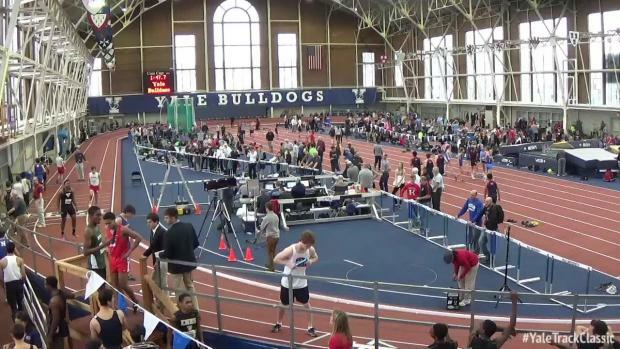 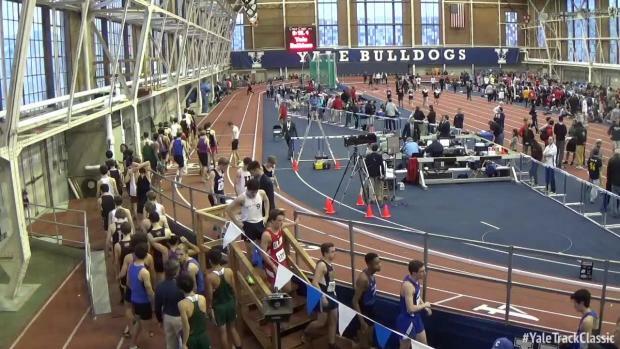 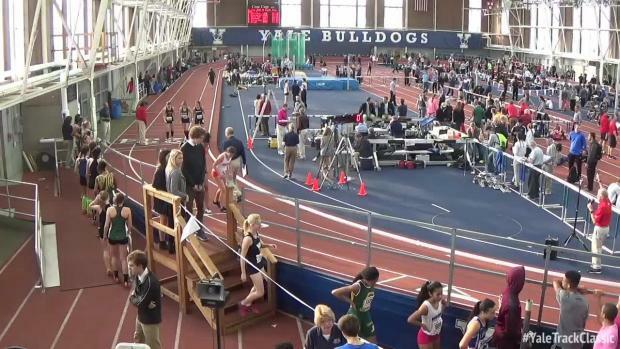 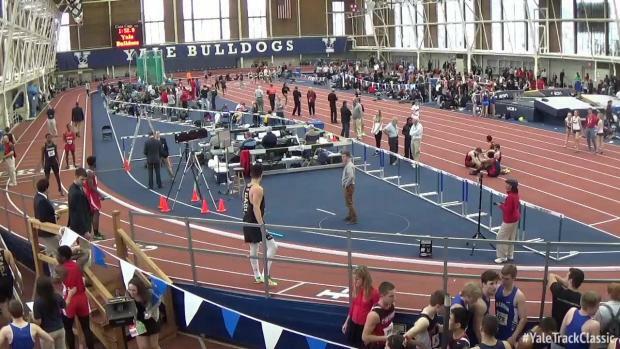 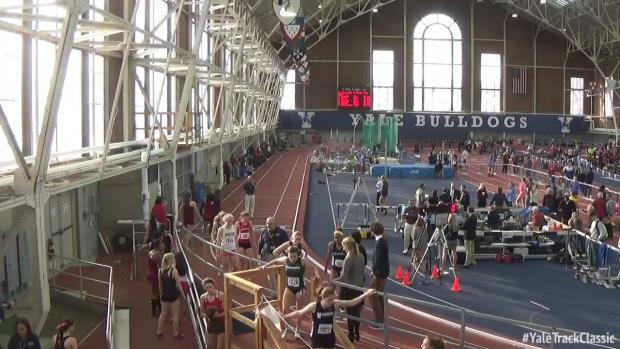 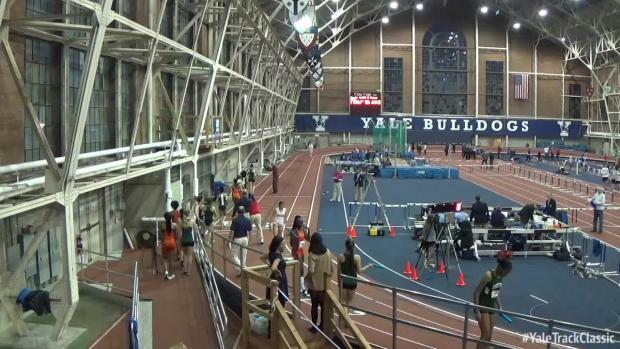 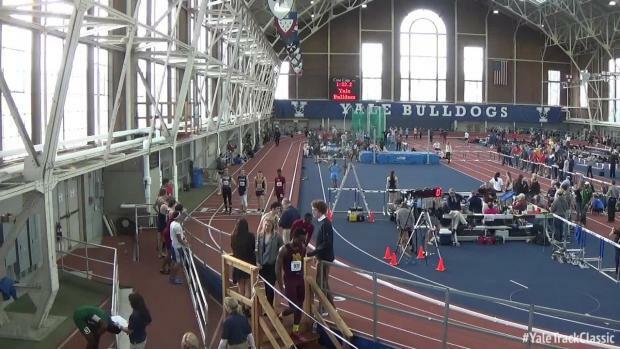 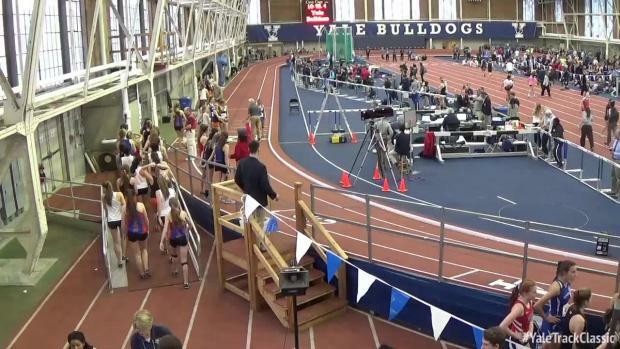 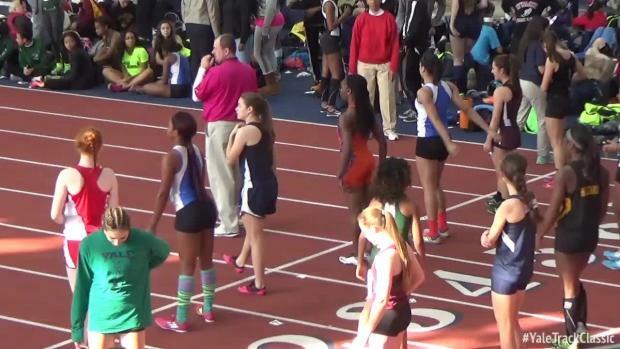 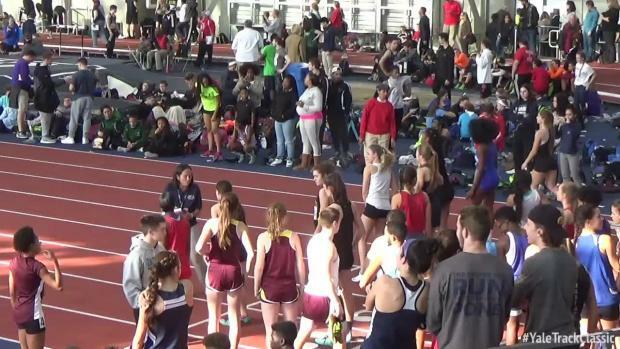 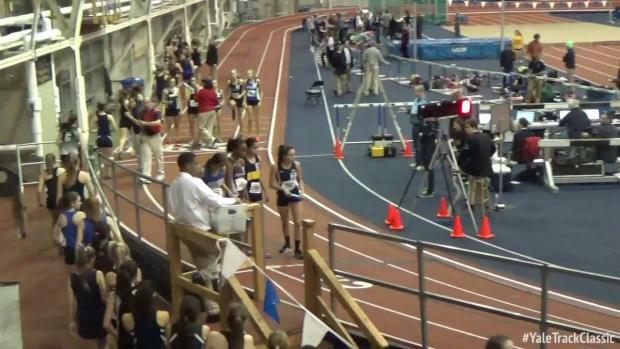 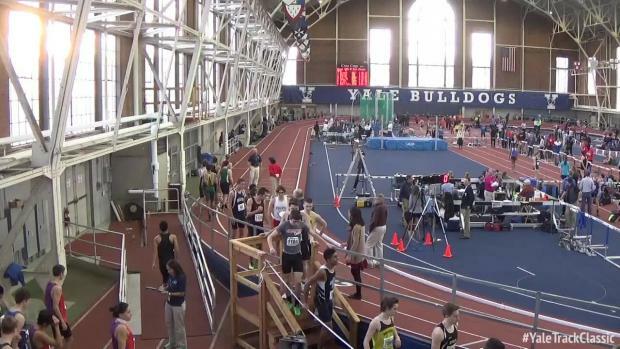 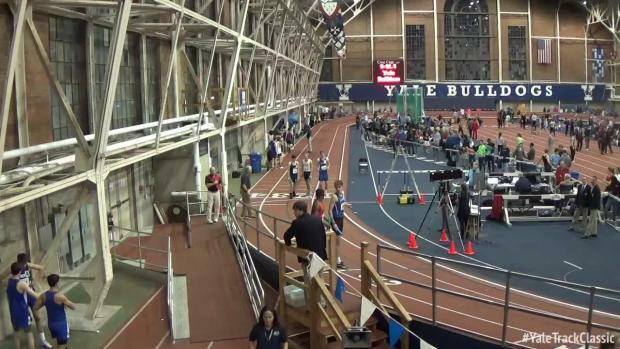 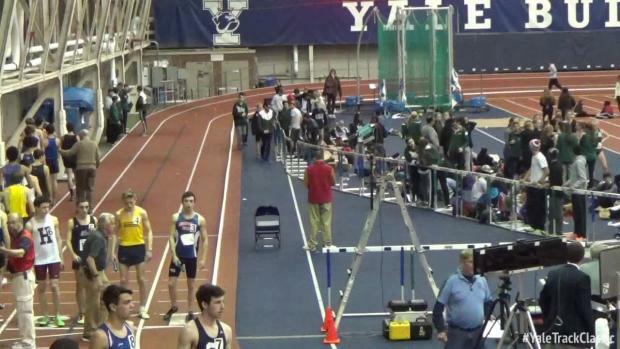 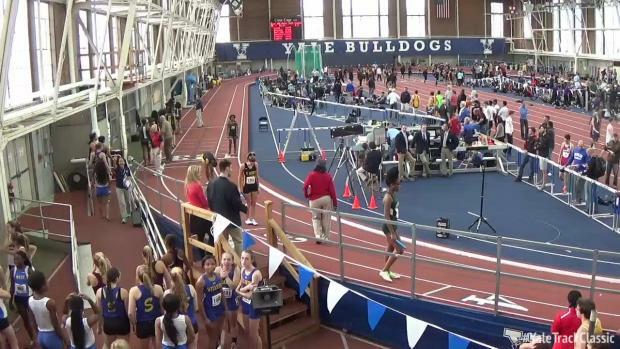 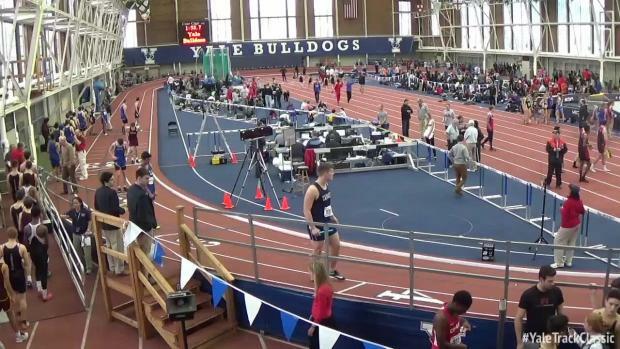 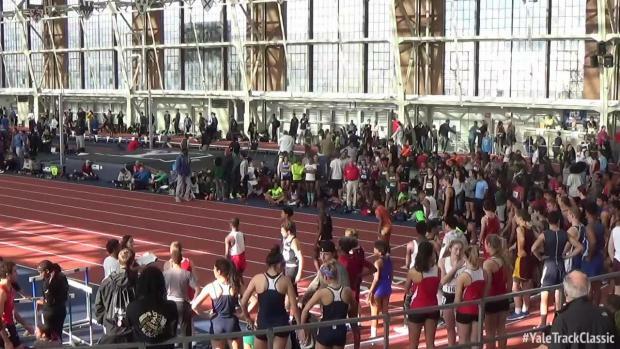 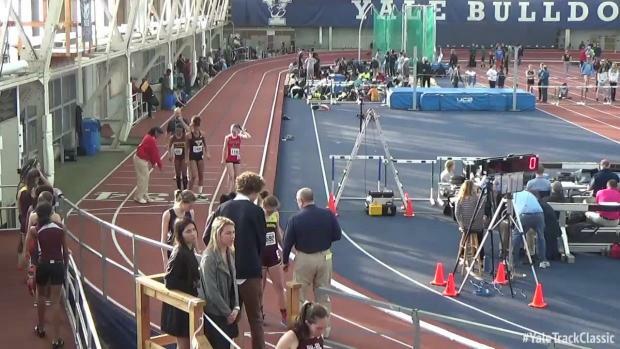 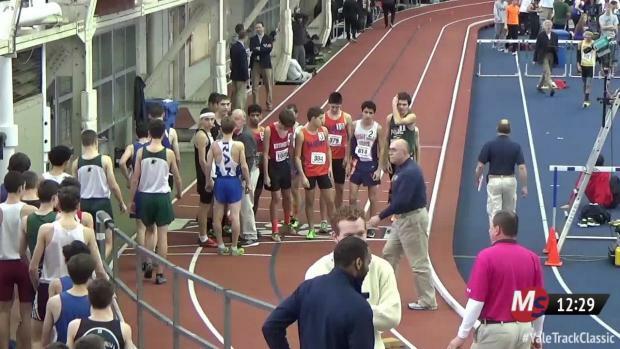 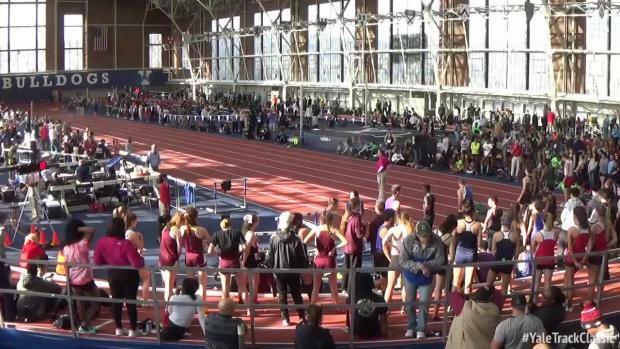 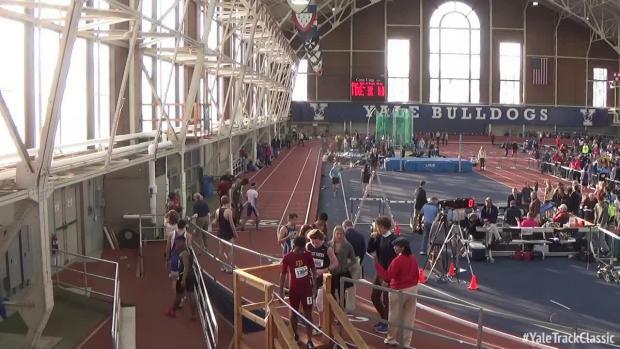 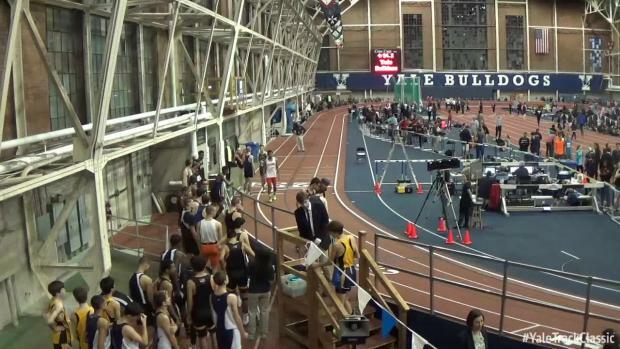 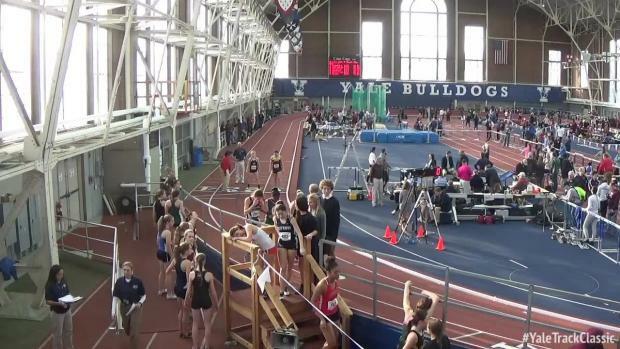 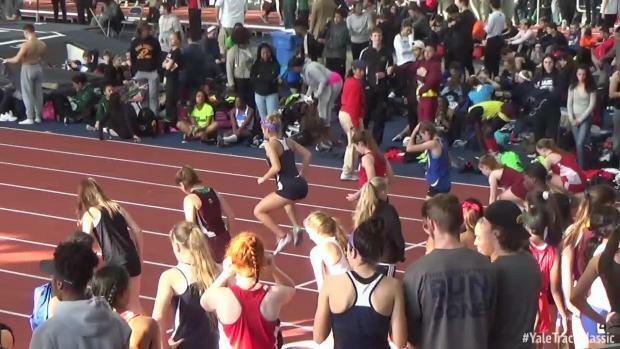 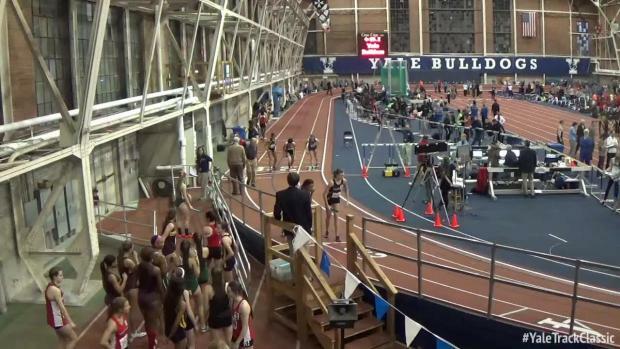 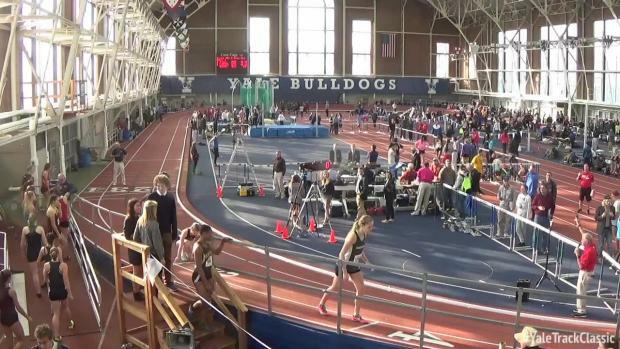 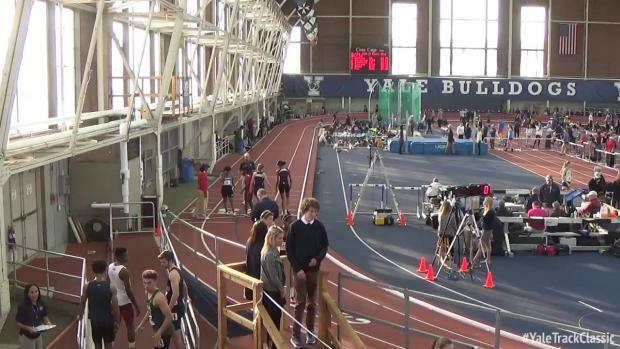 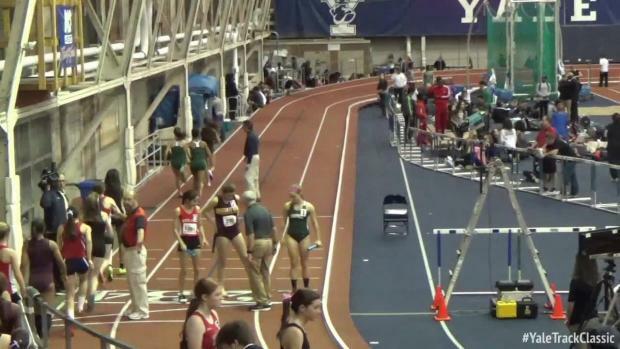 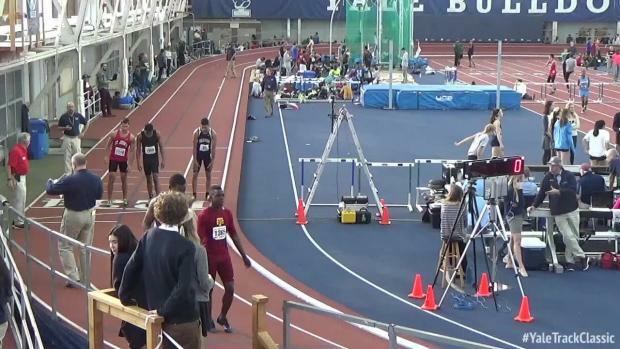 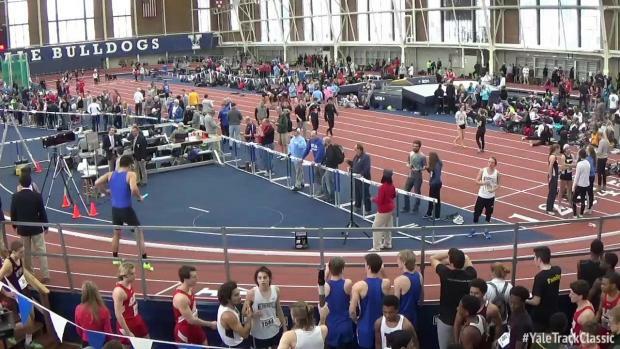 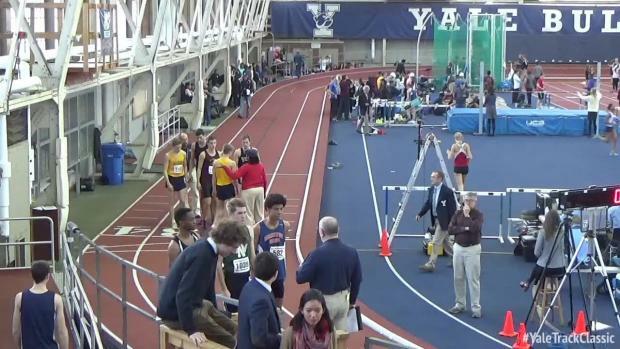 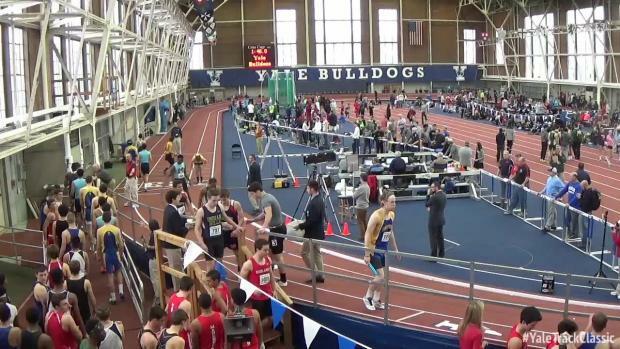 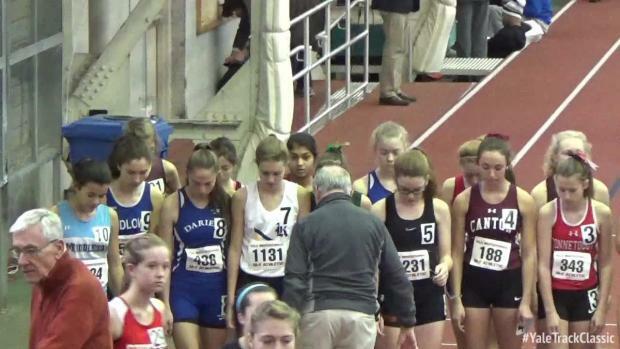 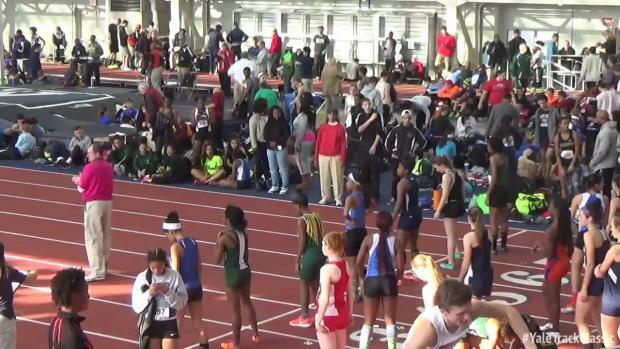 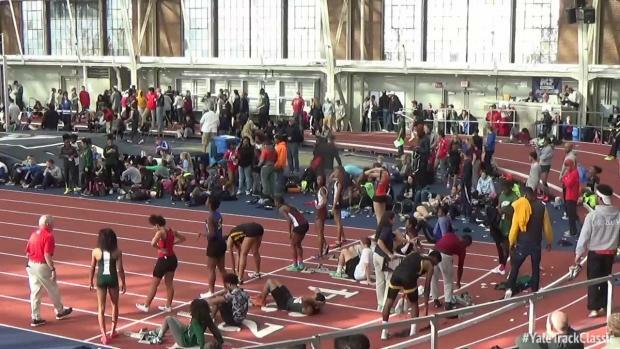 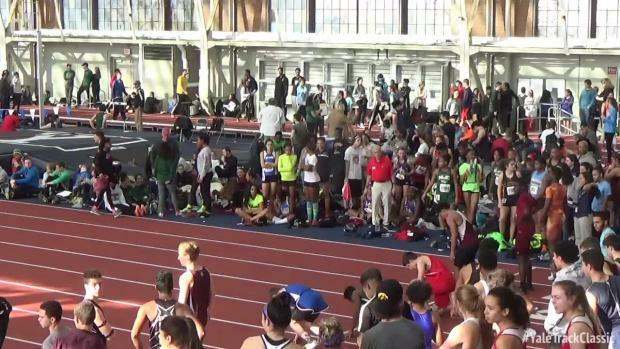 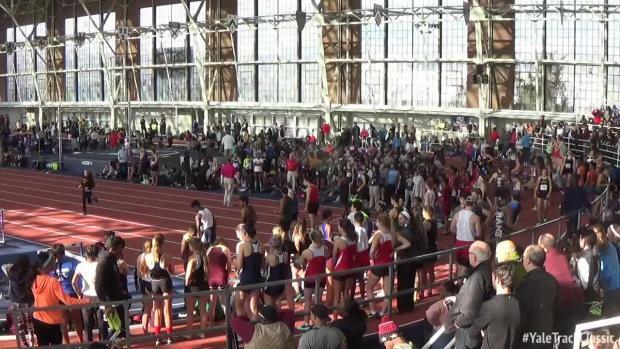 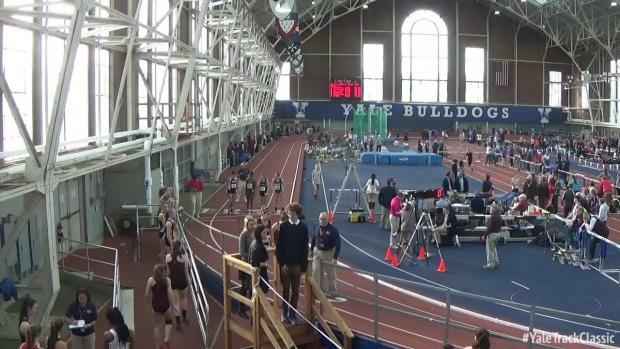 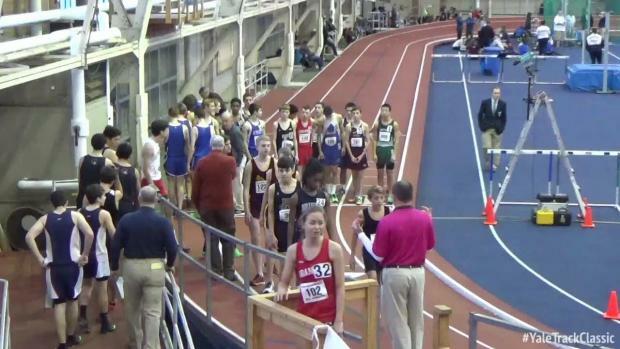 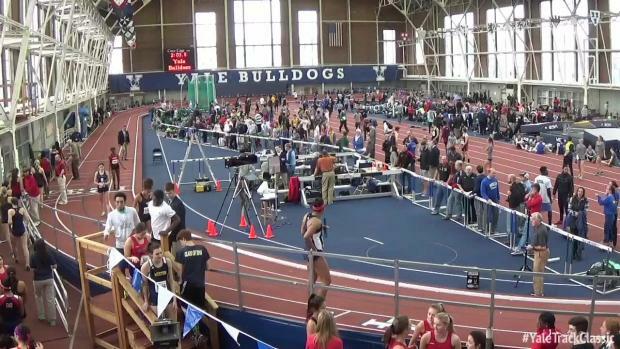 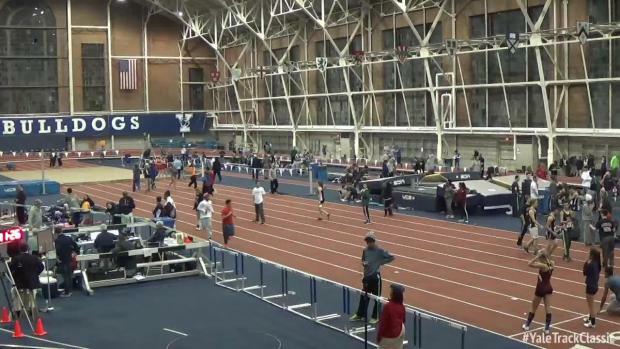 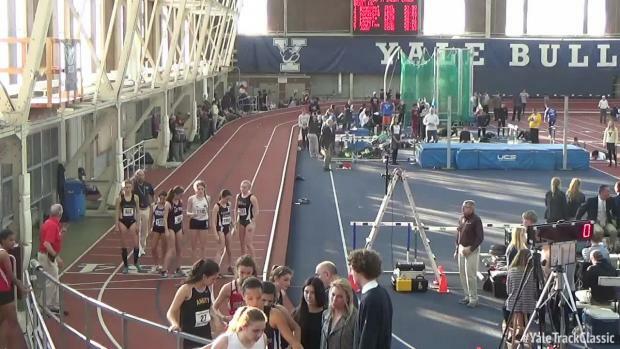 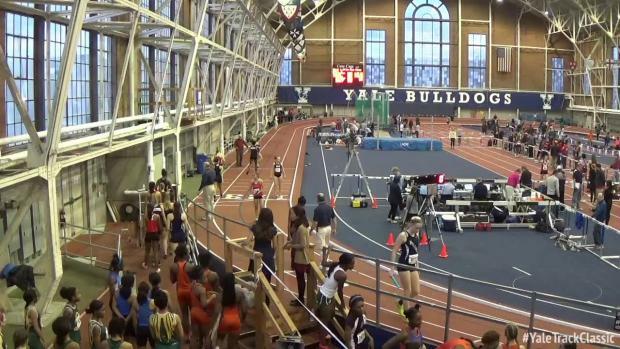 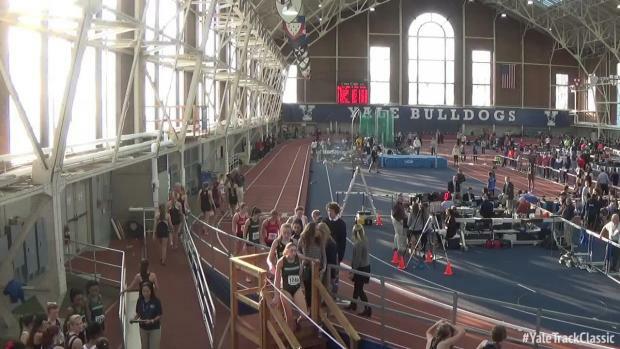 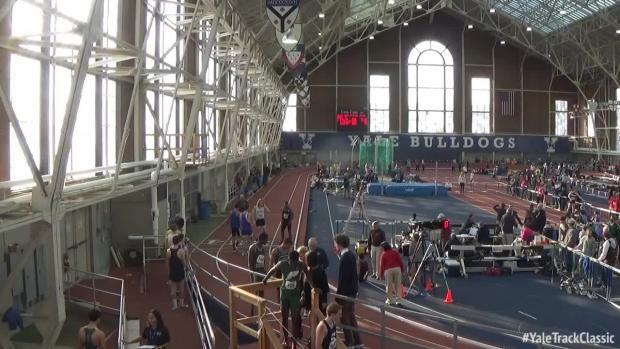 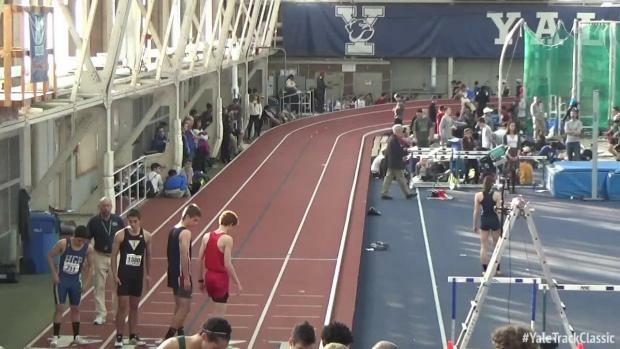 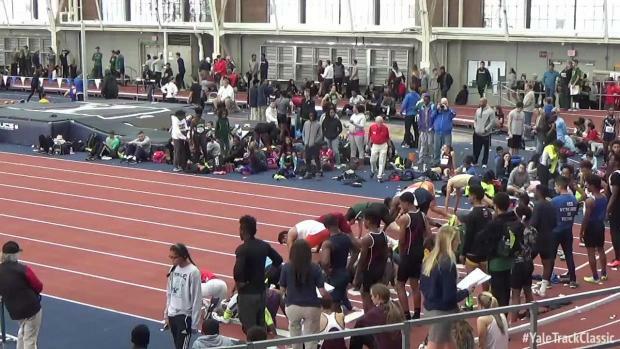 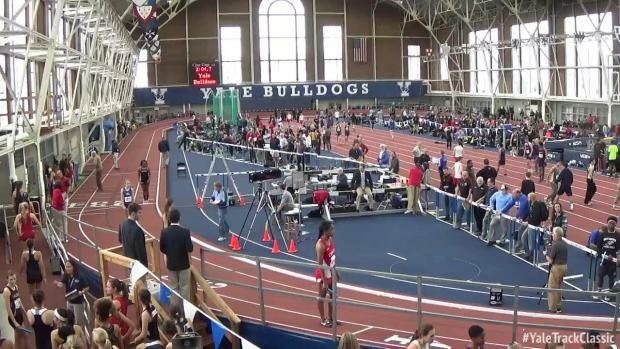 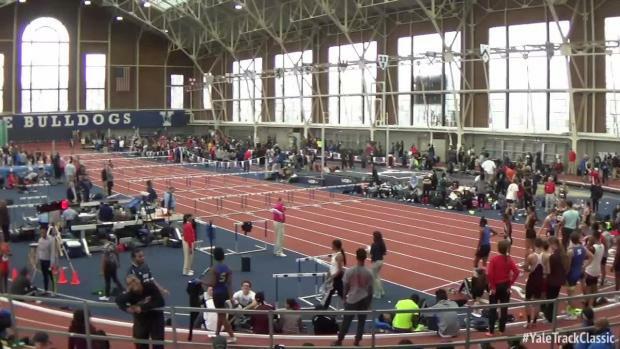 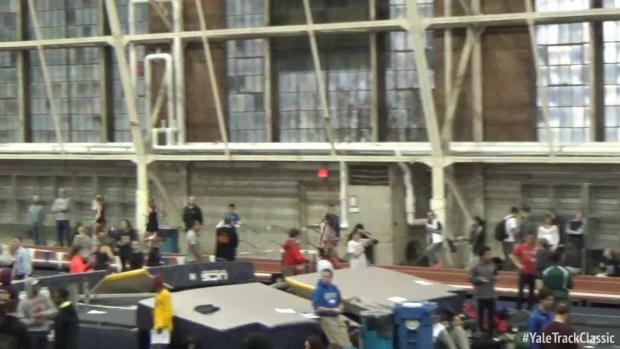 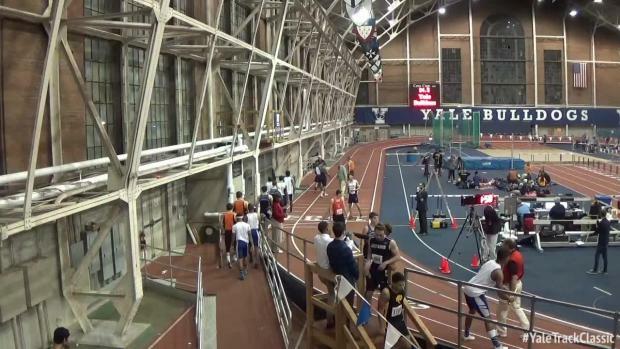 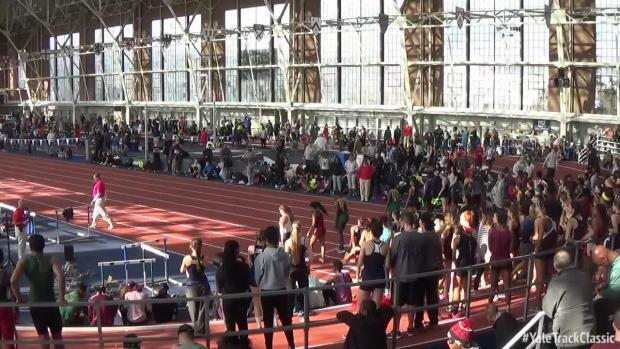 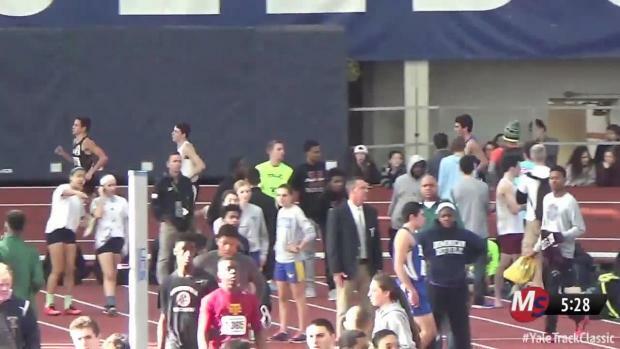 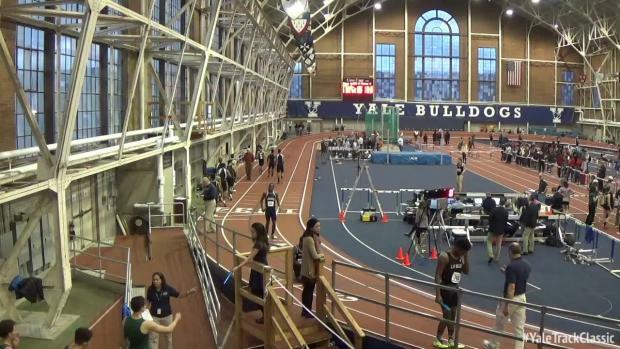 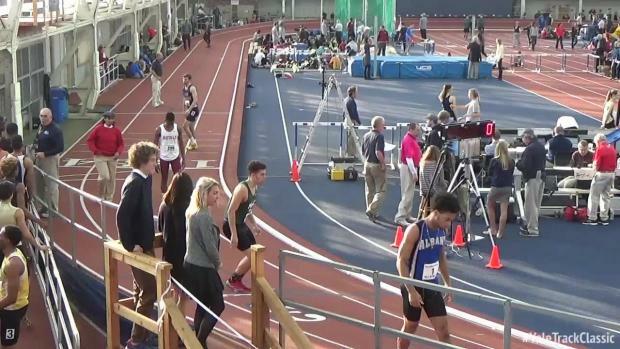 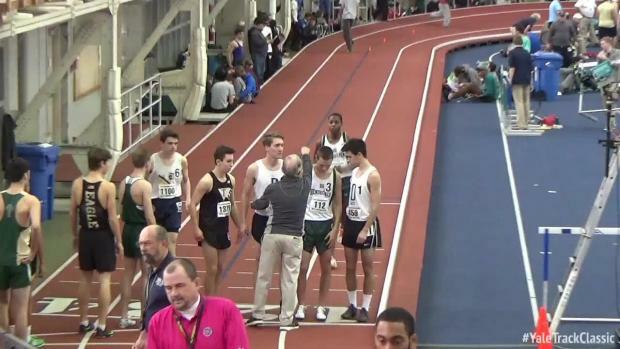 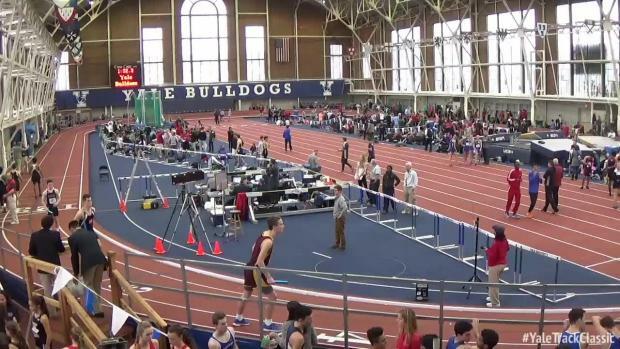 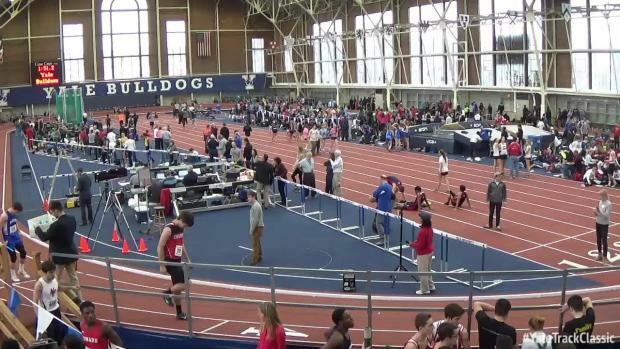 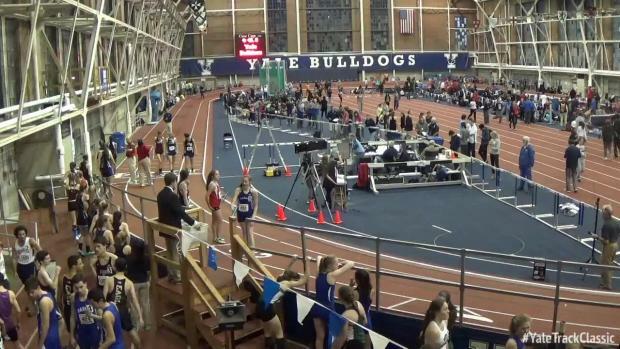 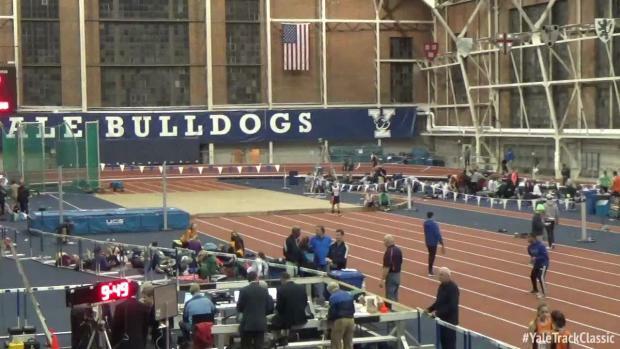 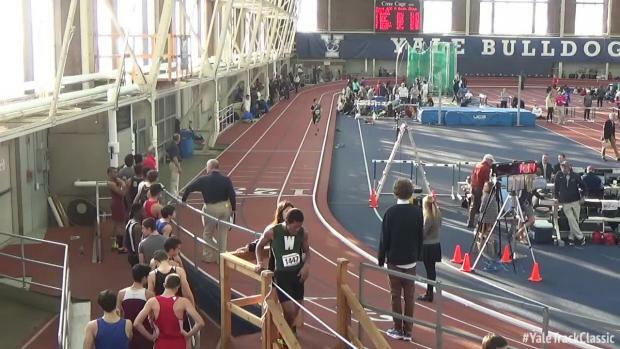 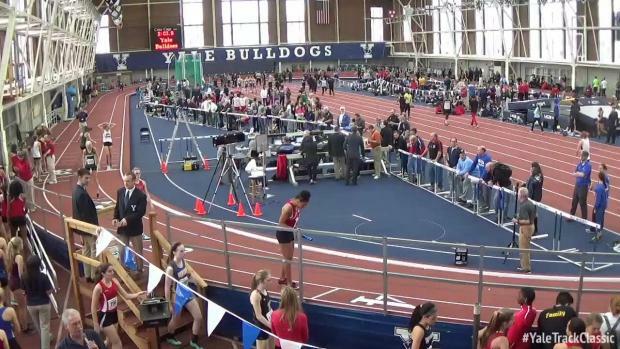 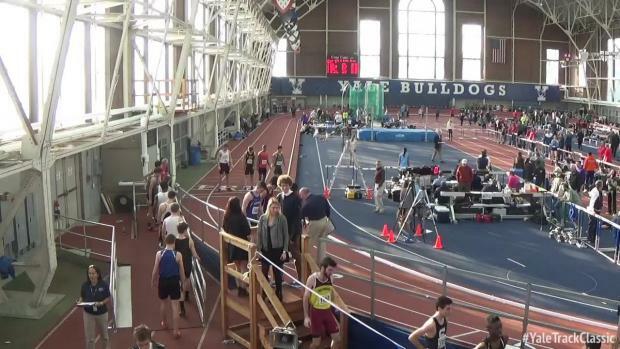 Both days of the Yale Track Classic will be streamed live on MileSplit this weekend! 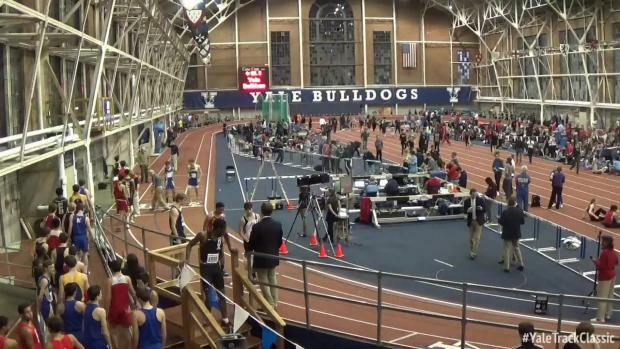 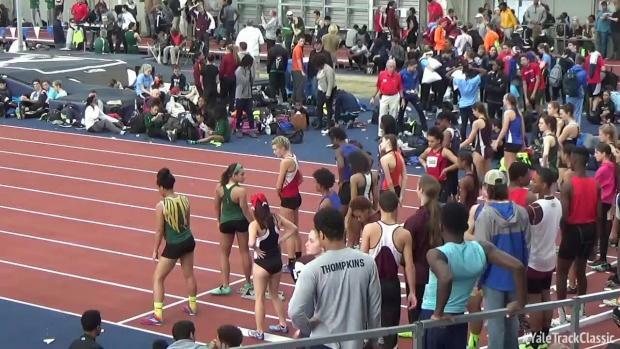 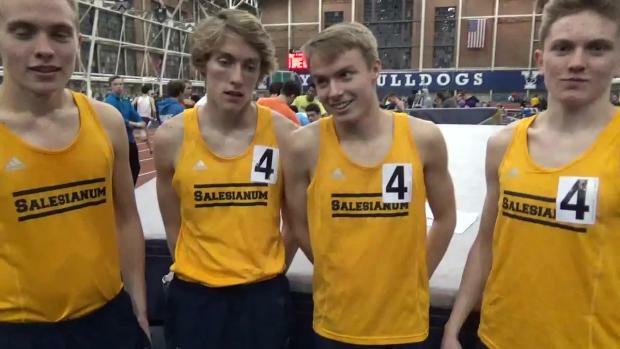 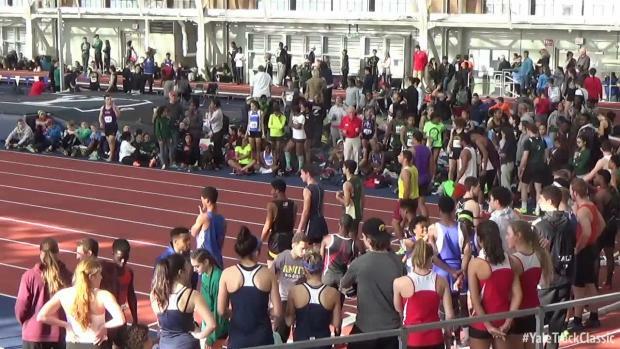 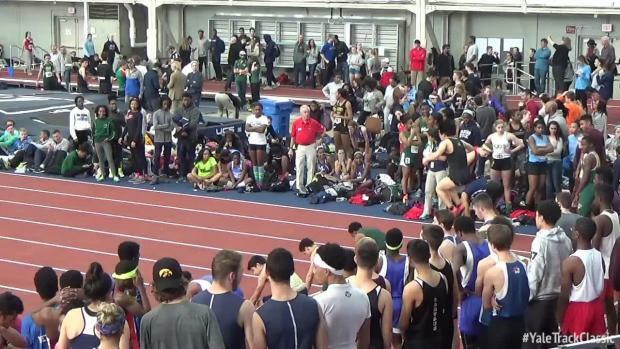 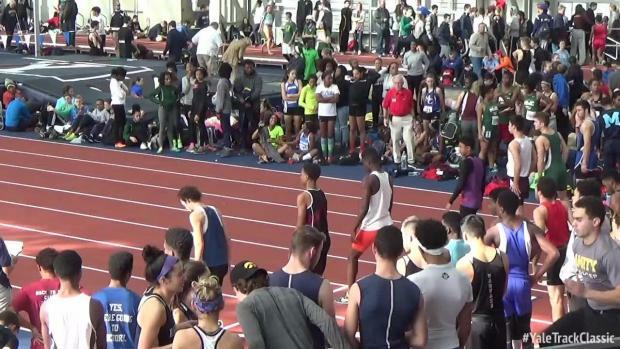 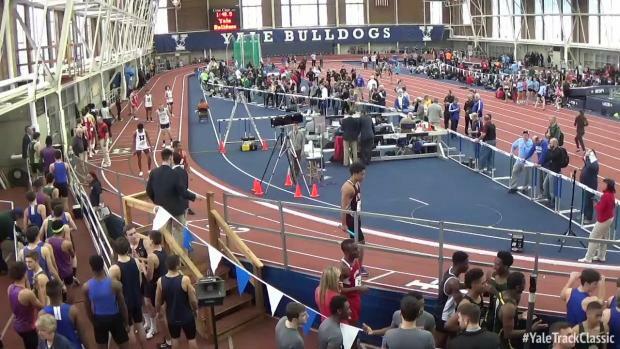 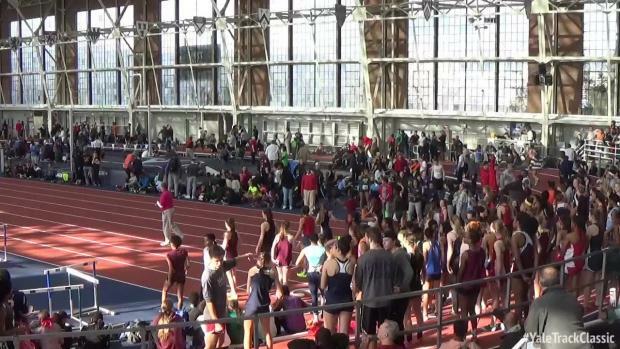 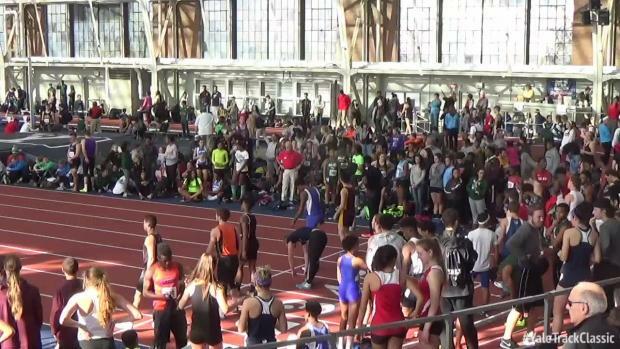 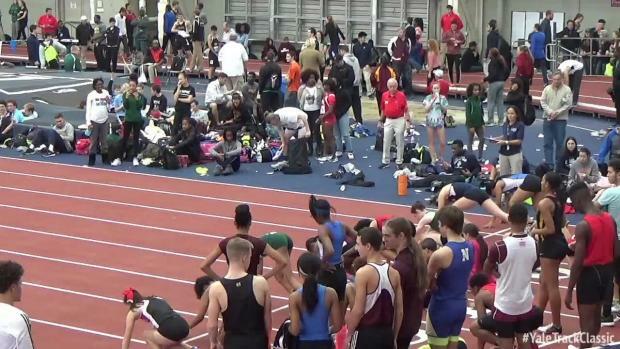 View the entry list and heat sheets for the Yale Track Classic this weekend, streaming LIVE on MileSplit! 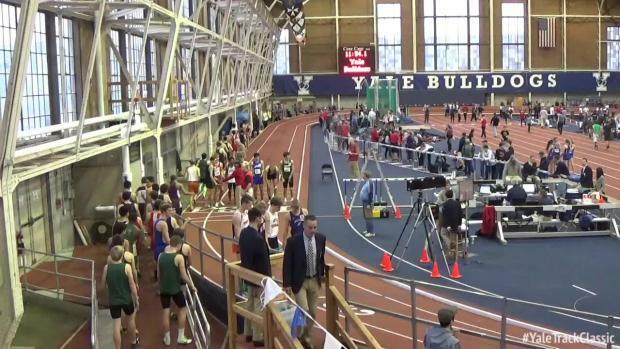 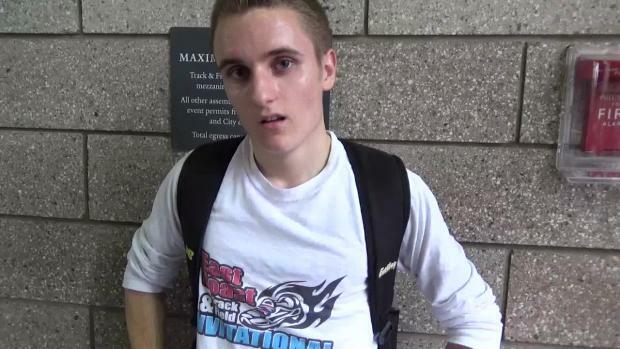 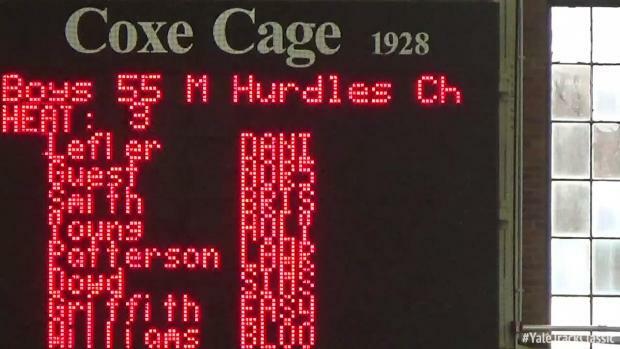 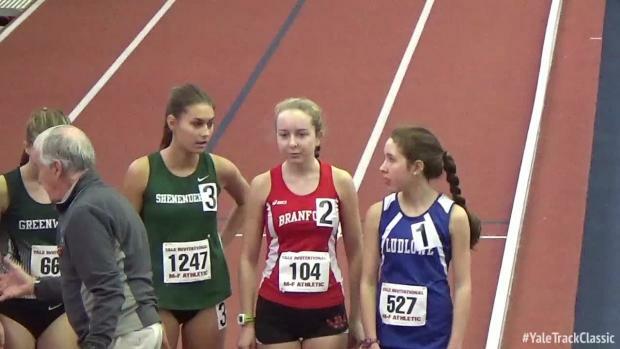 Watch video of ten races that moved athletes to the top of the US leaderboards! 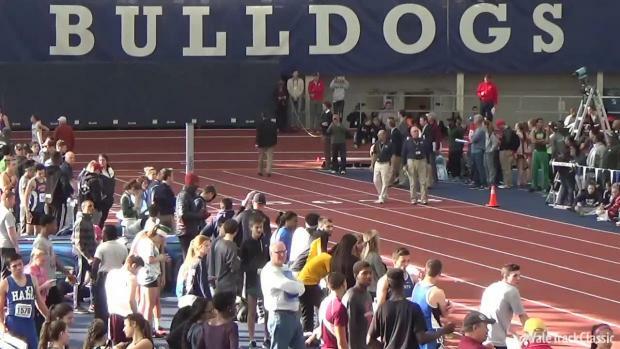 Check out this weekend's (almost) coast-to-coast high school track & field action. 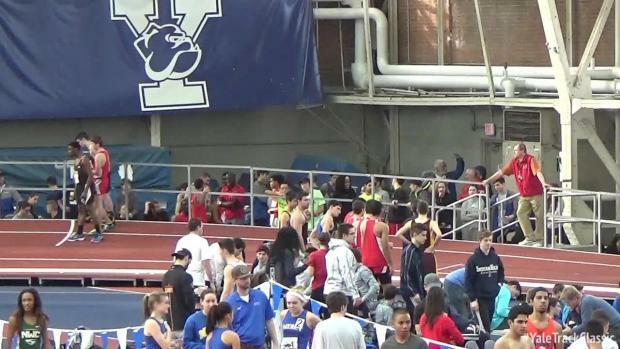 Lots to look forward to this Saturday! 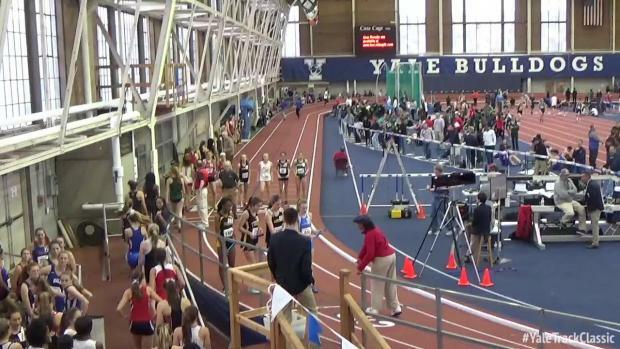 Check out the four best events going down in New Haven this weekend! 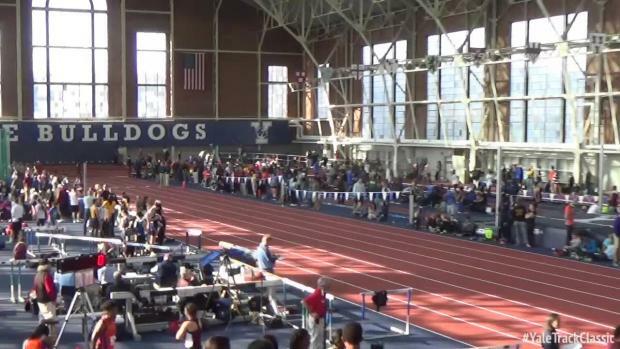 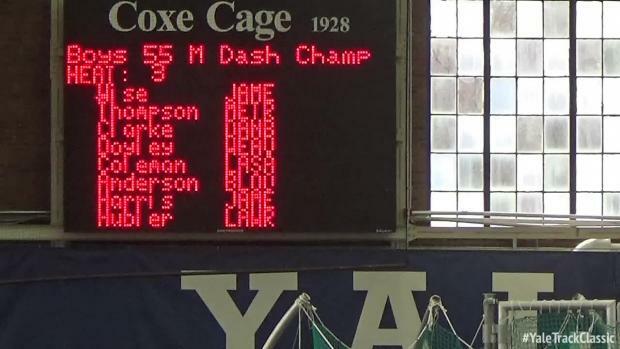 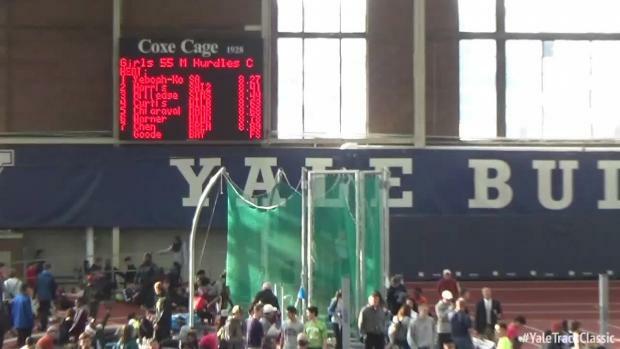 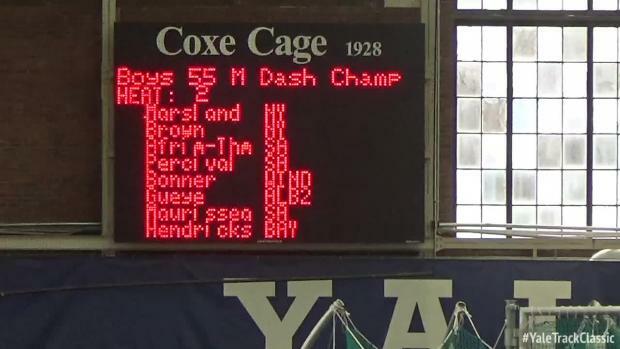 New Haven, CT - New York annually takes over Cox Cage every year for the Yale Track Classic, making up a majority of the fielded athletes, and 2016 was no different. 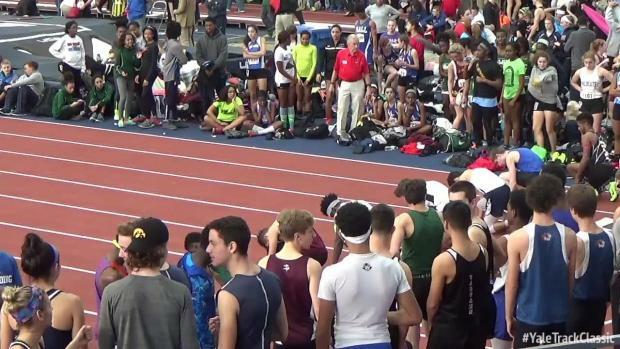 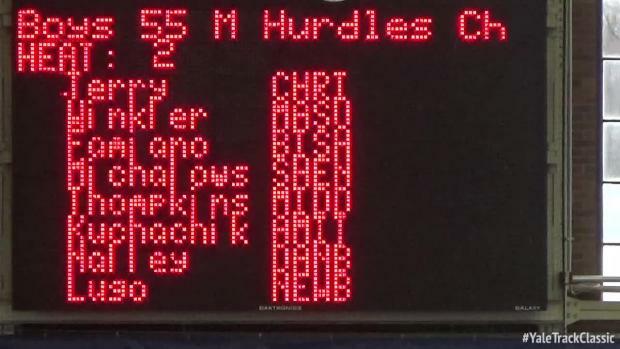 Several athletes made their mark with meet records, and All-Time performances, and MileSplit managed to catch up with a few of them. 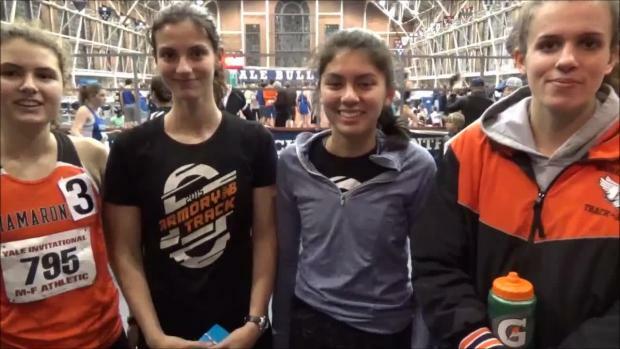 Hear what they had to say about the performance. 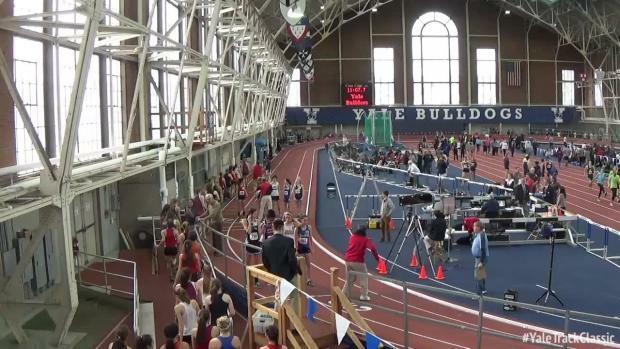 Top-50 performances in all indoor track events. 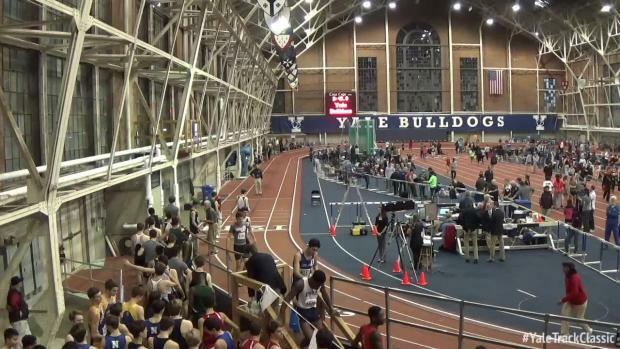 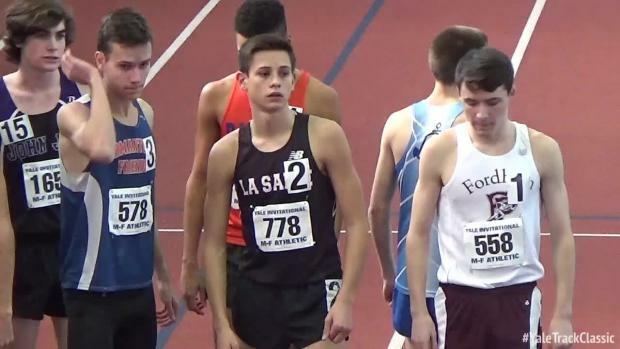 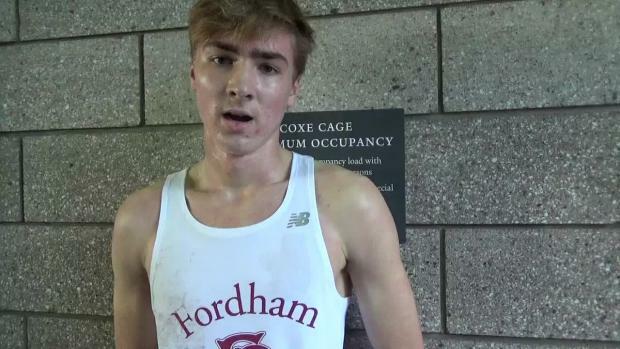 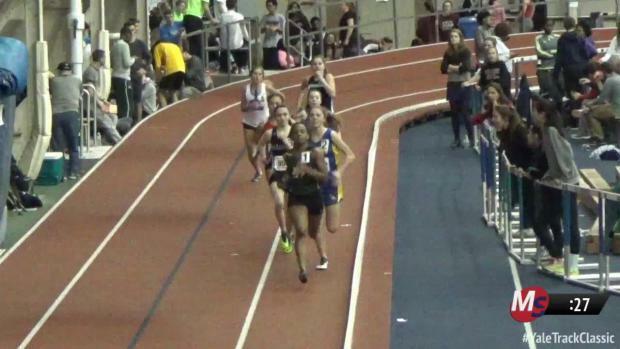 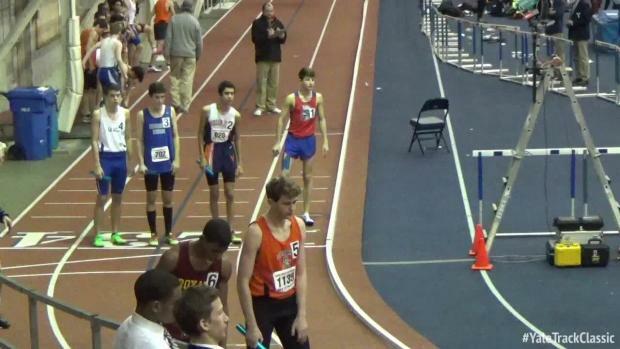 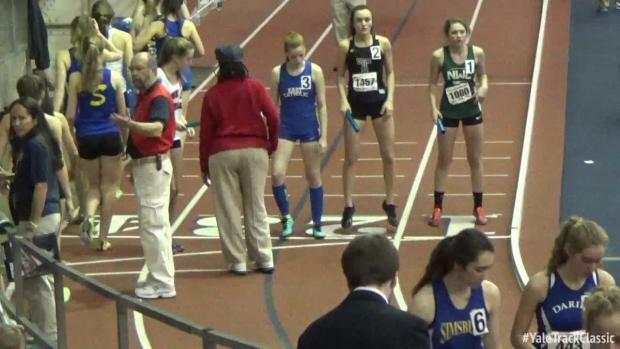 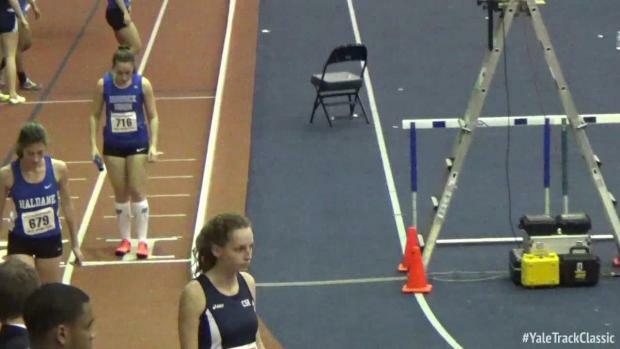 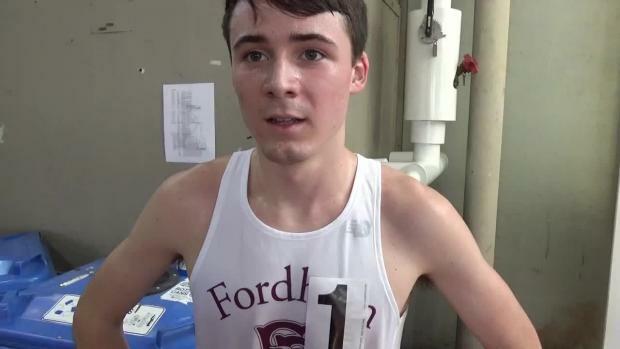 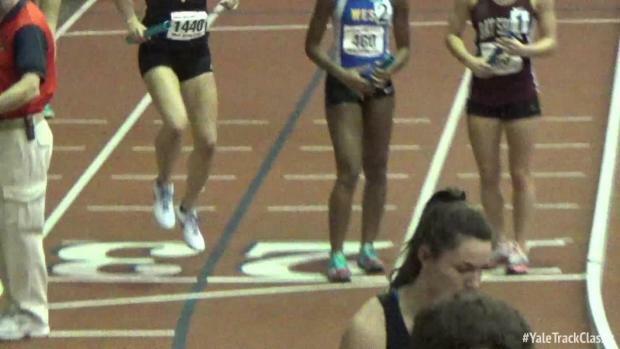 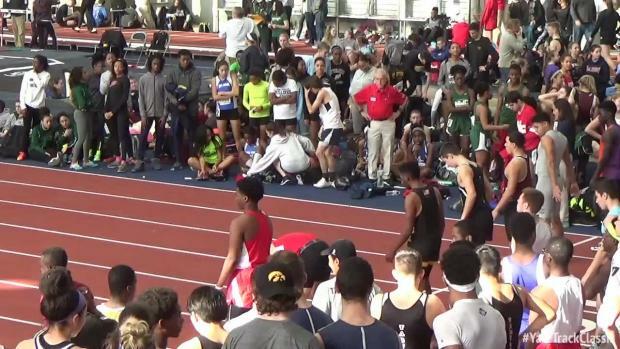 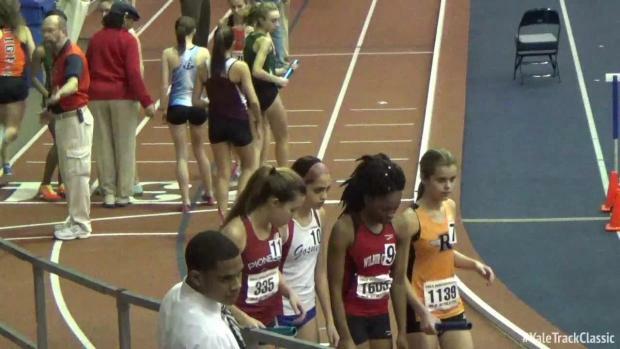 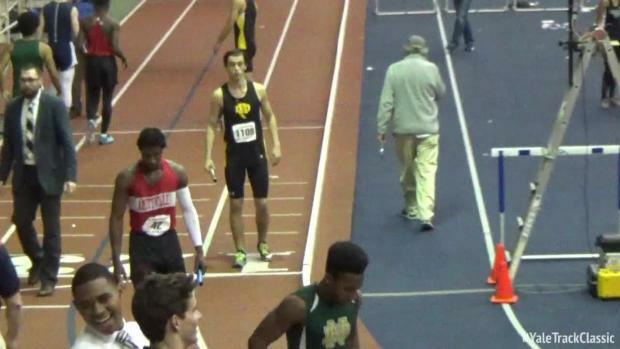 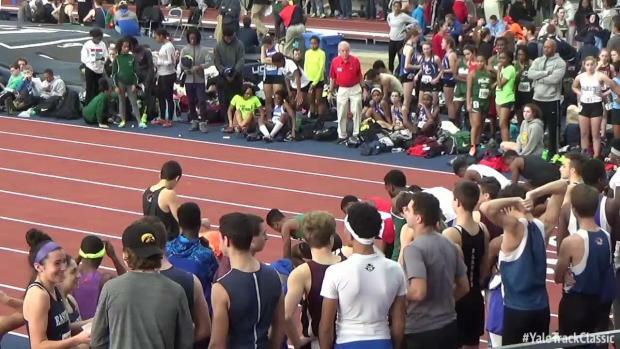 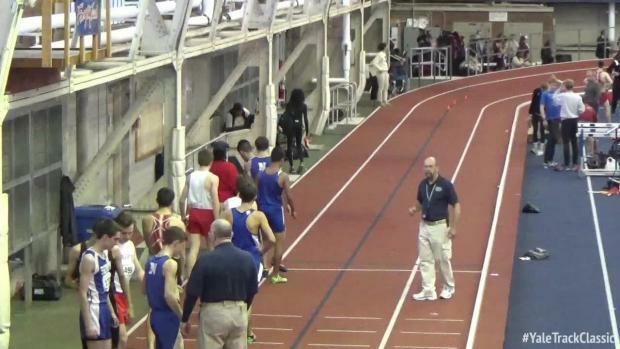 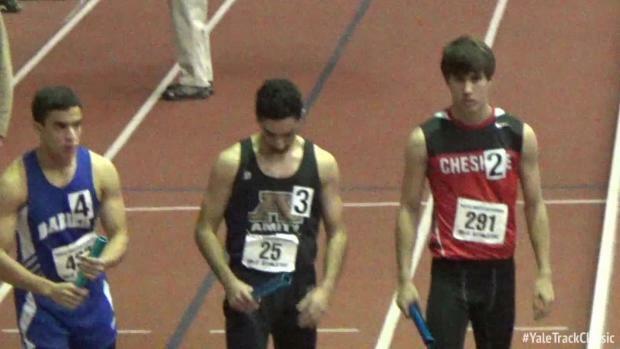 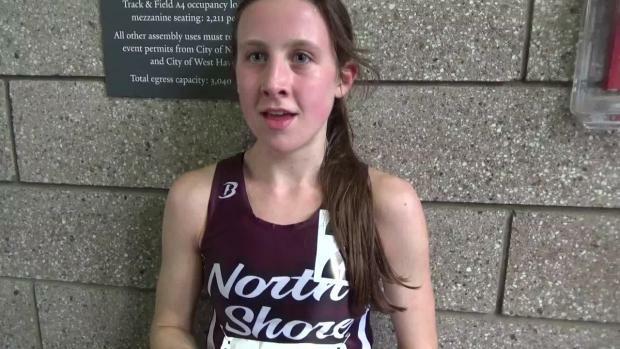 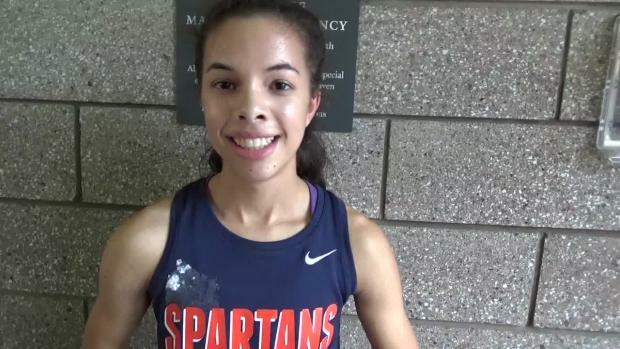 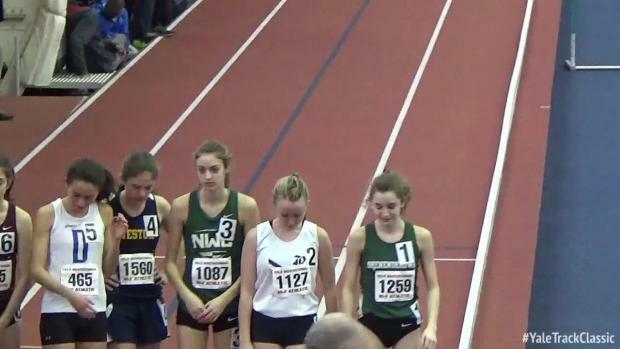 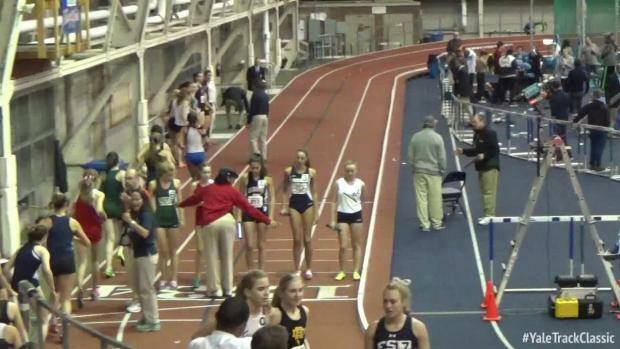 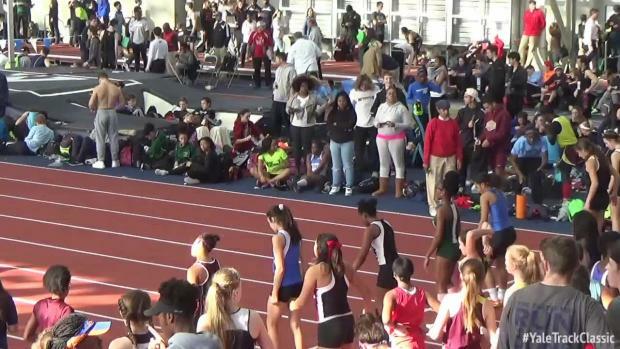 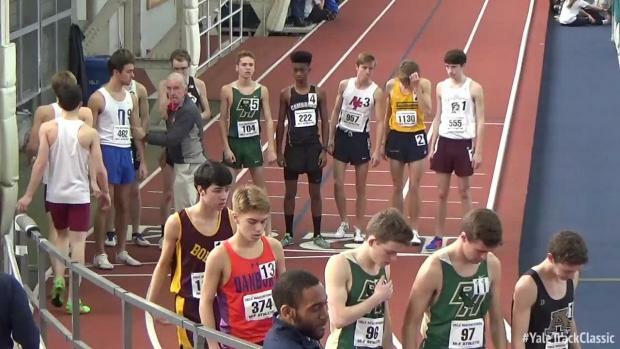 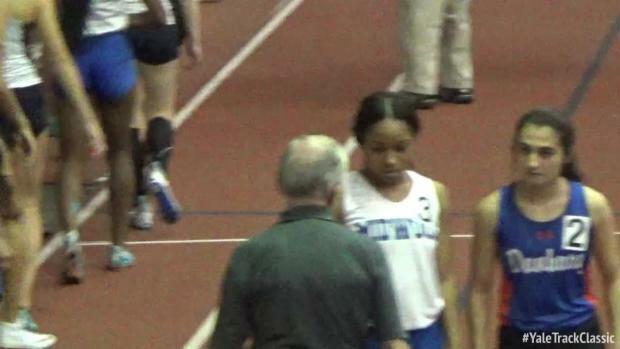 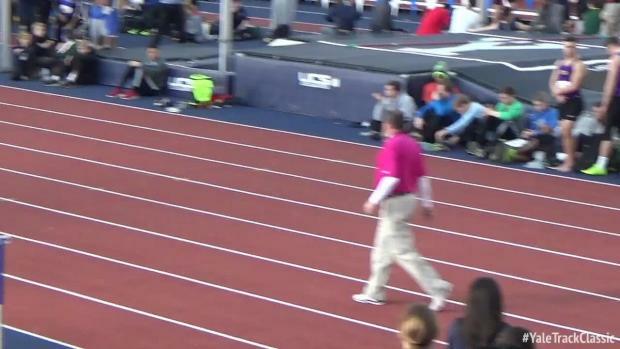 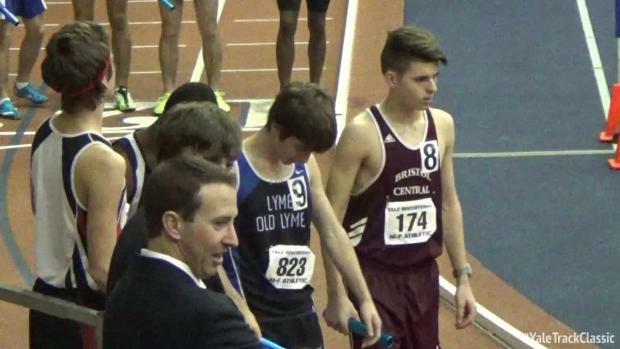 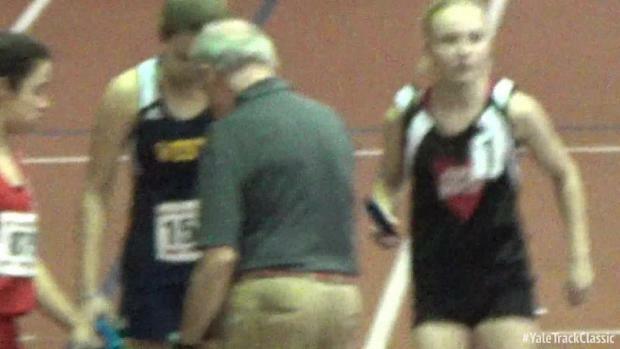 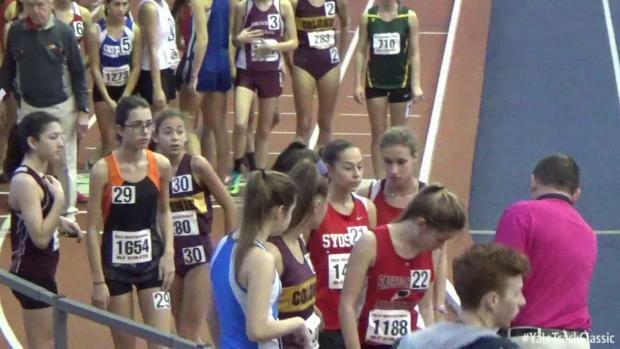 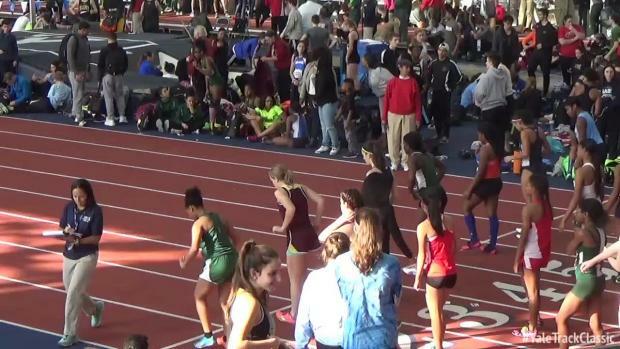 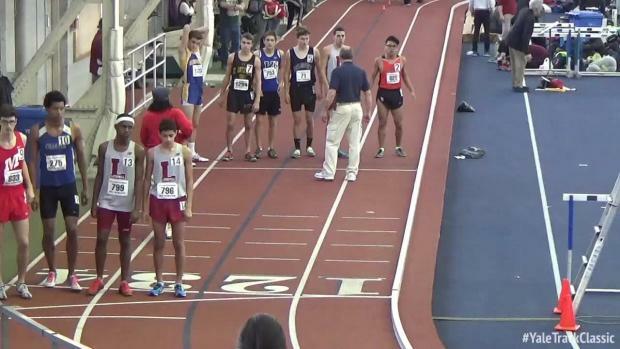 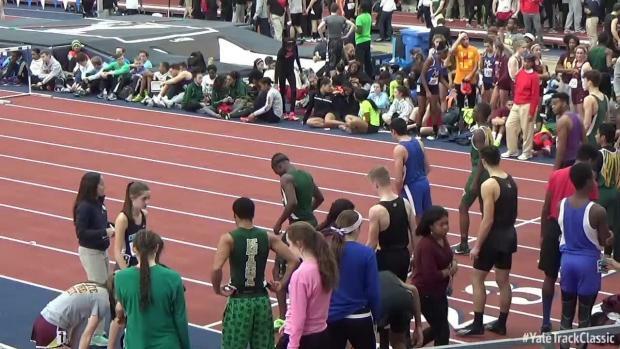 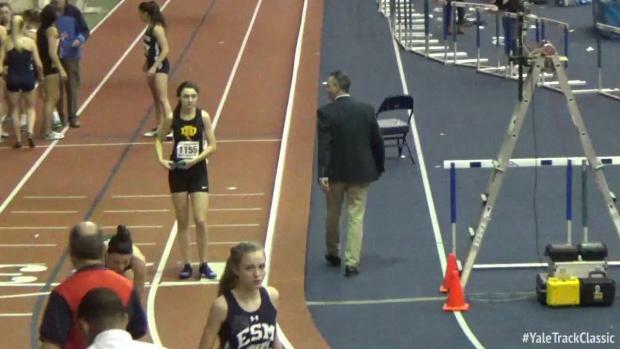 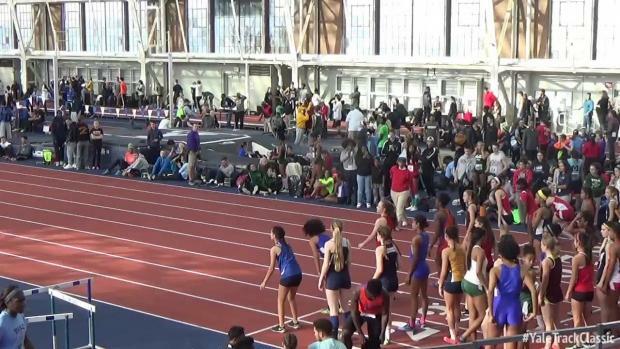 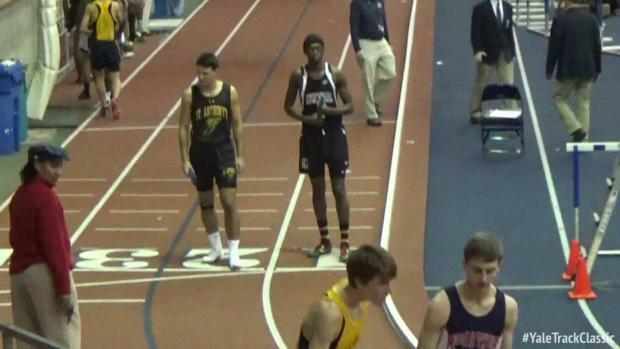 Watch the race to see the new US #1 12:02 performance! 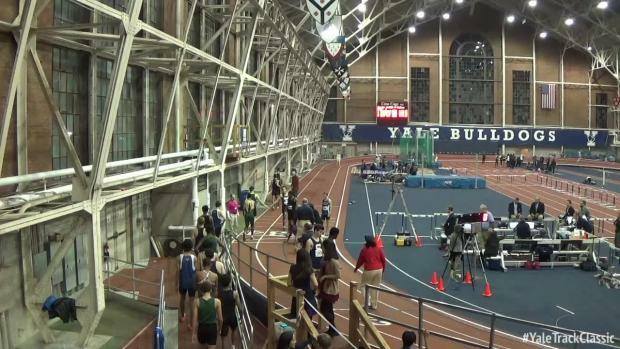 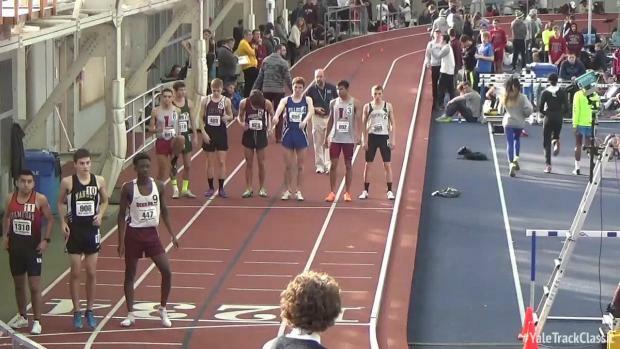 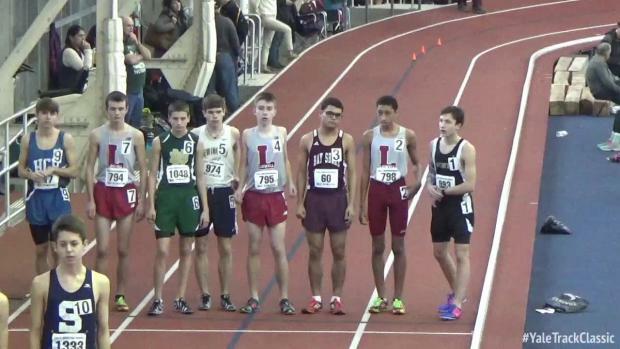 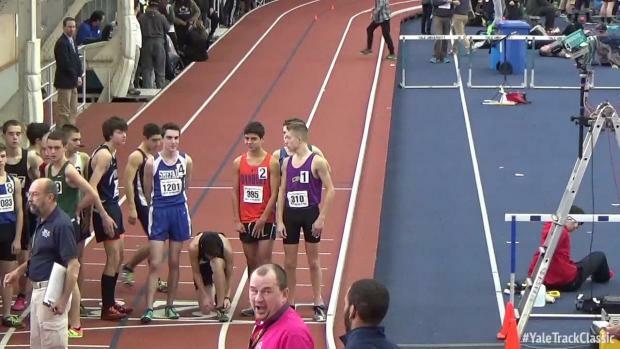 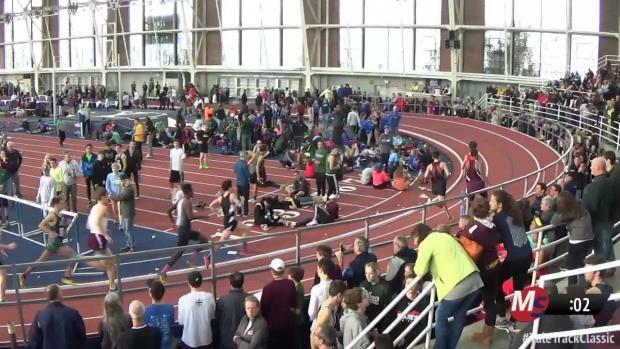 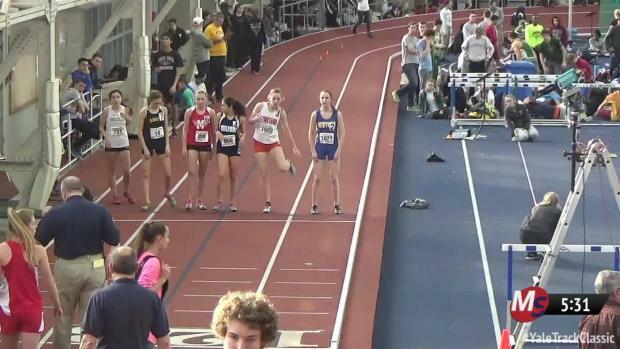 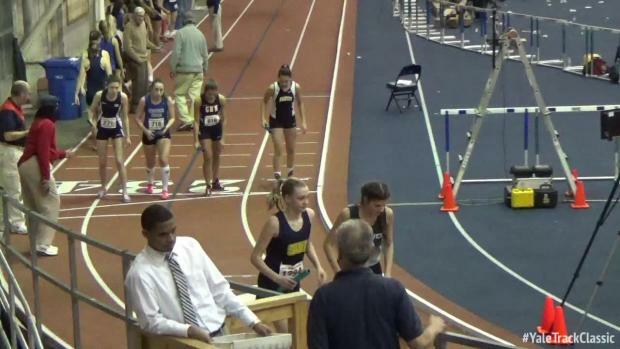 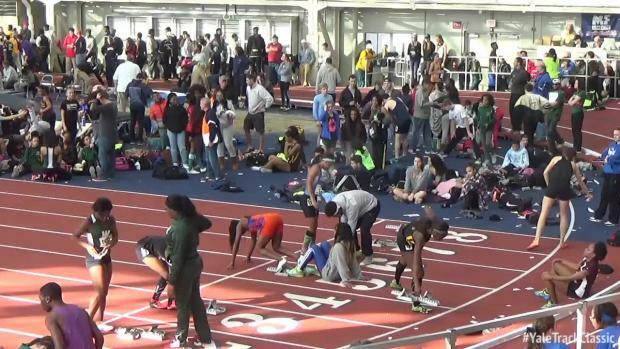 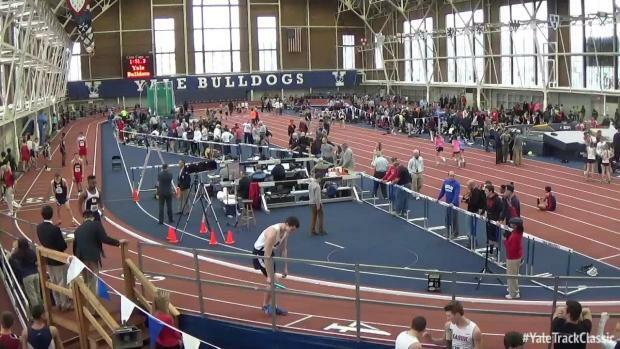 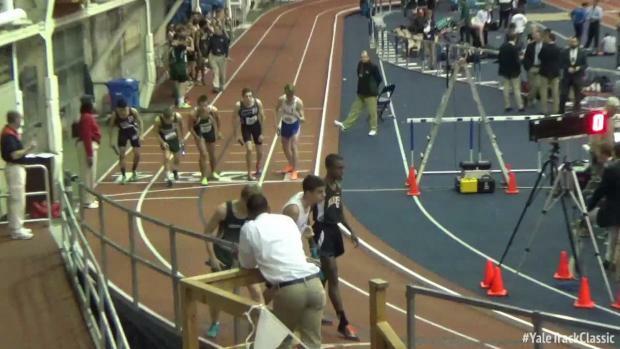 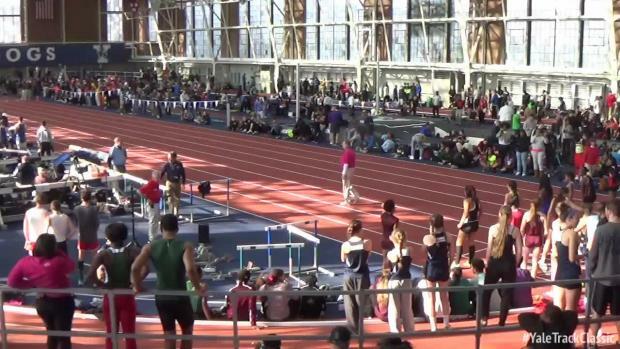 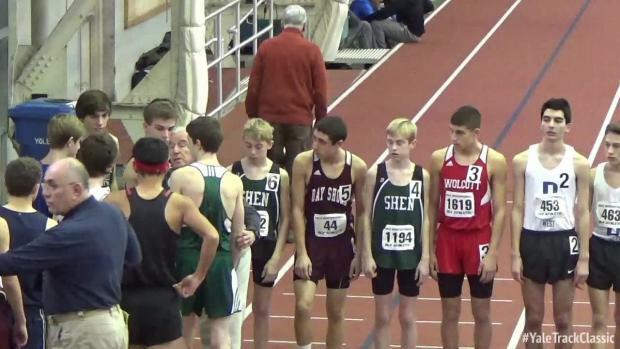 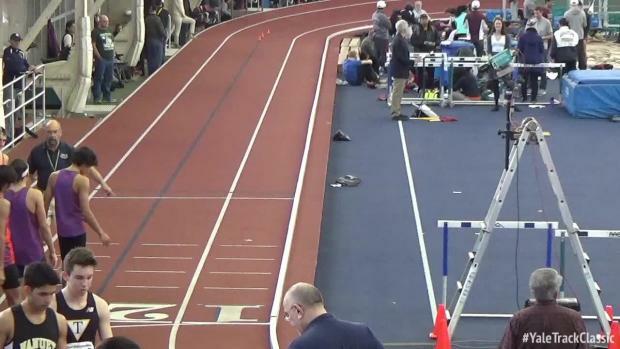 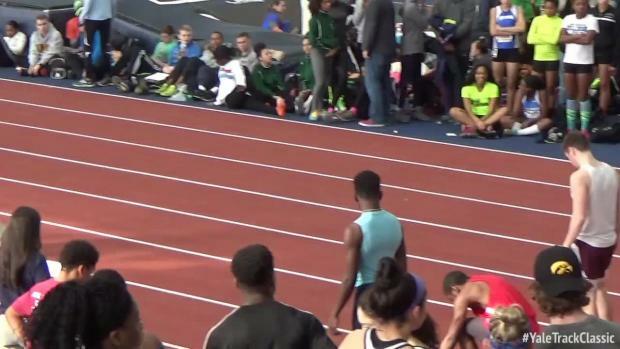 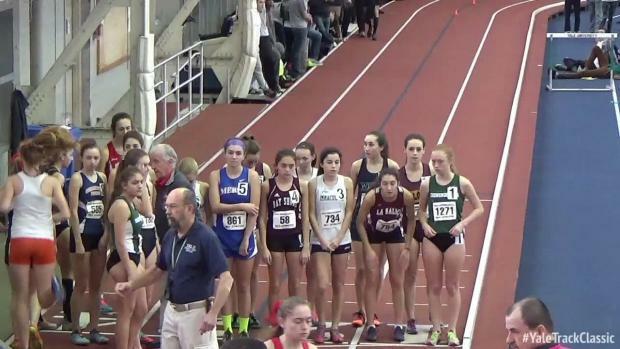 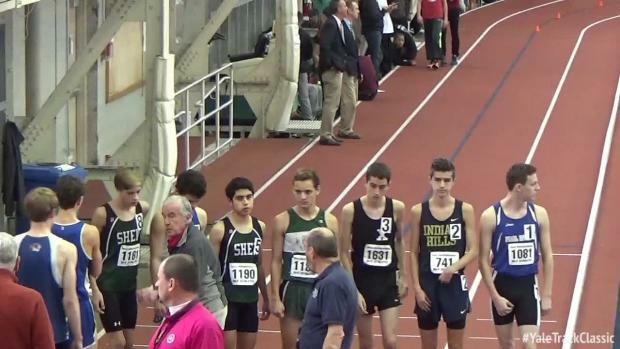 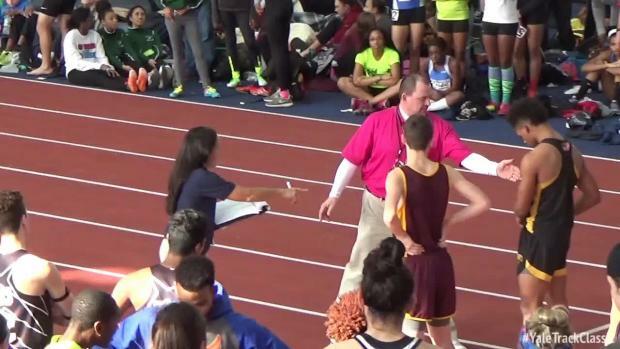 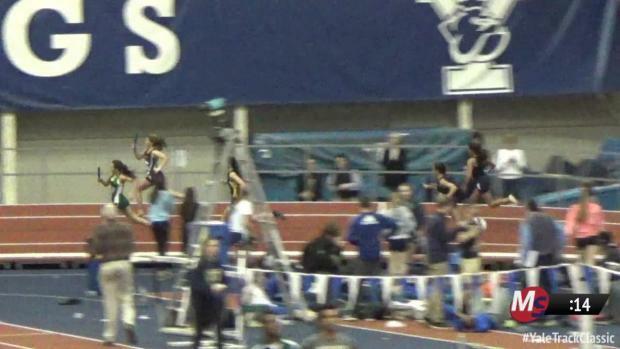 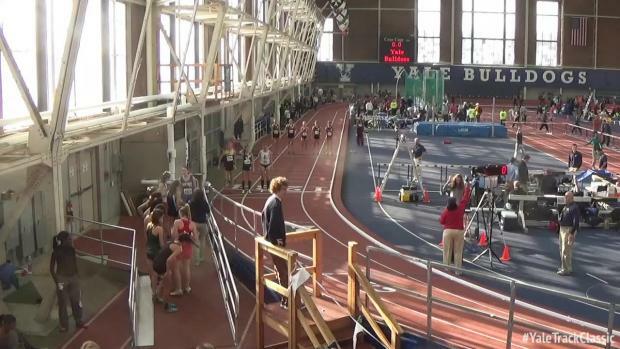 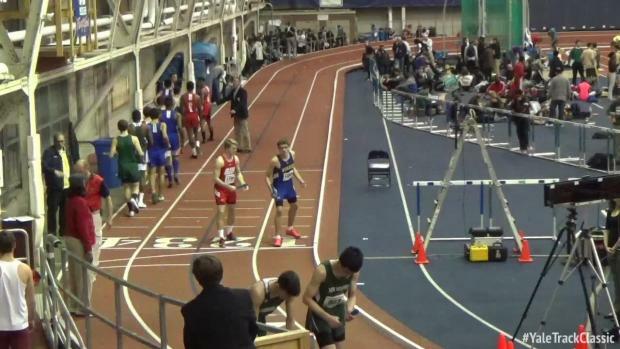 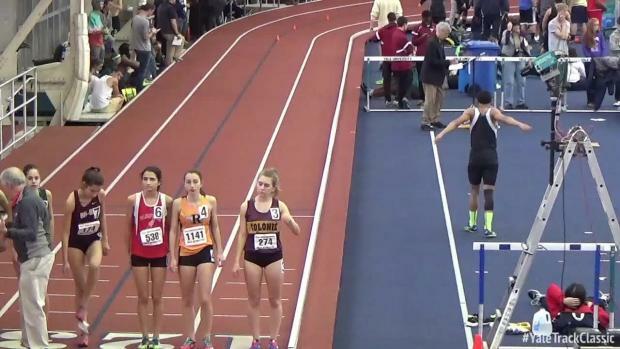 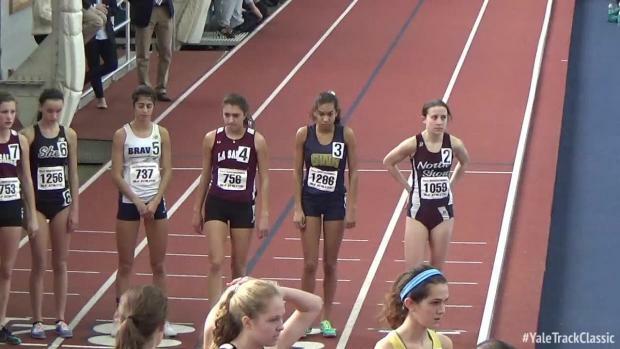 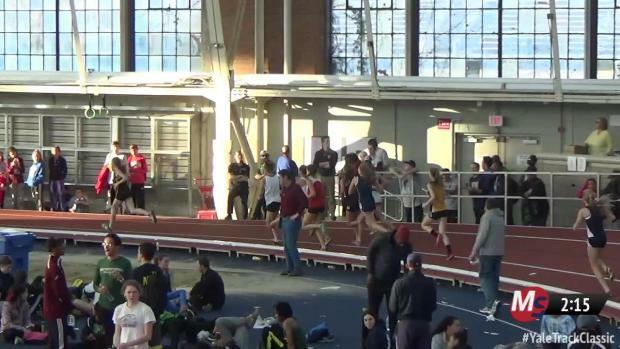 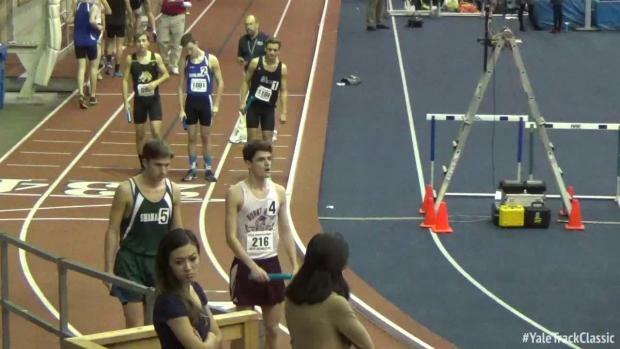 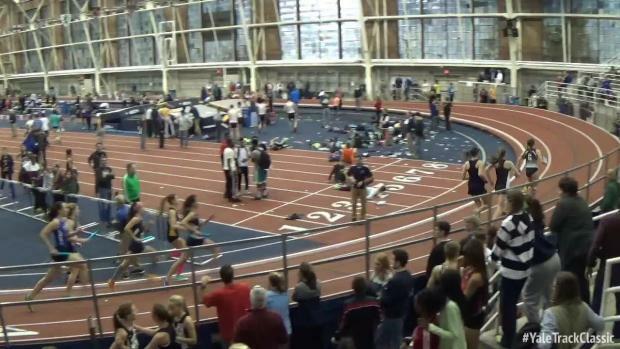 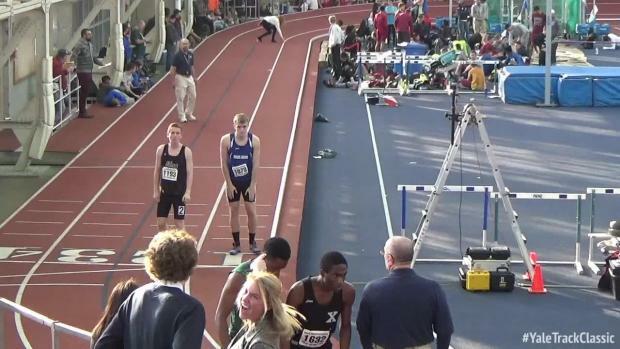 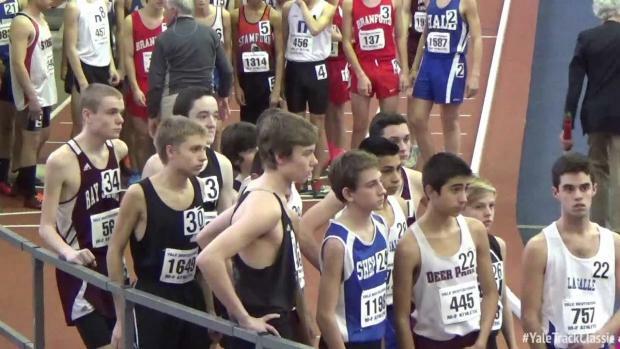 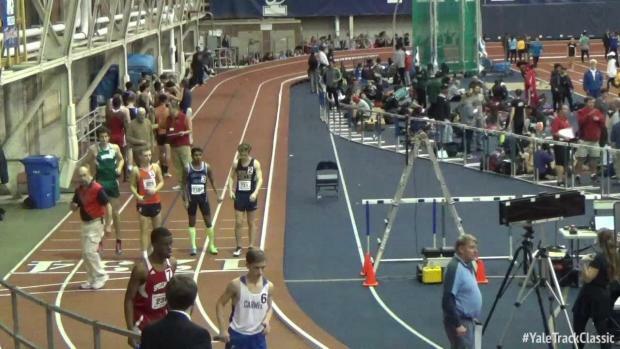 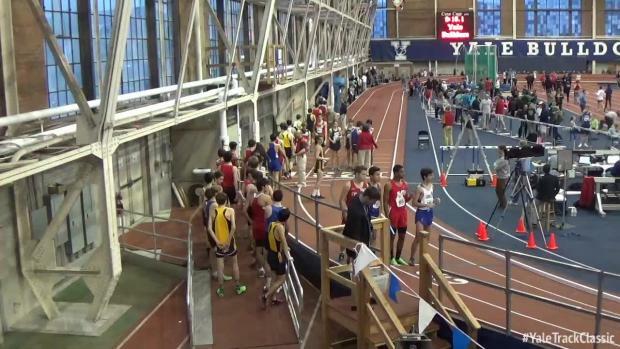 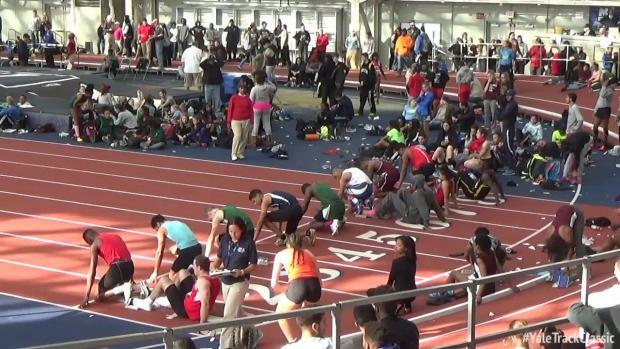 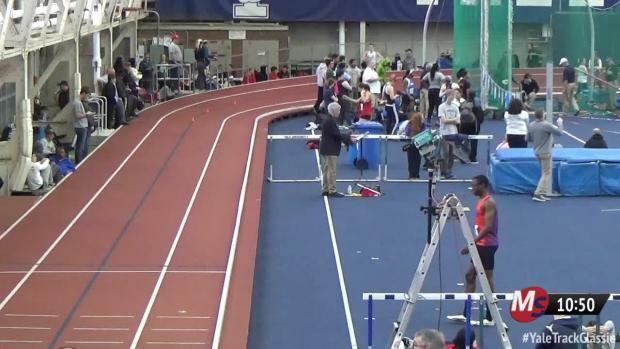 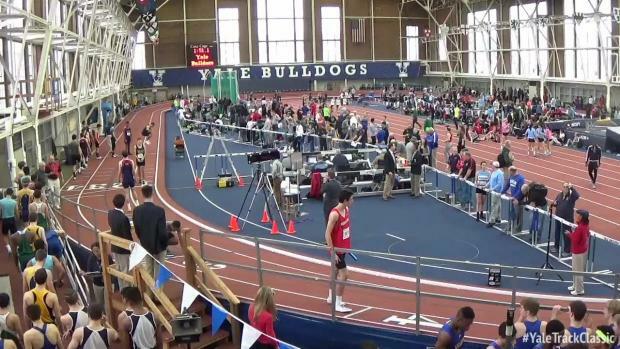 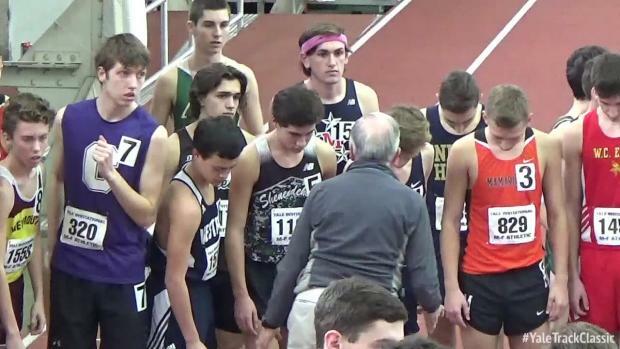 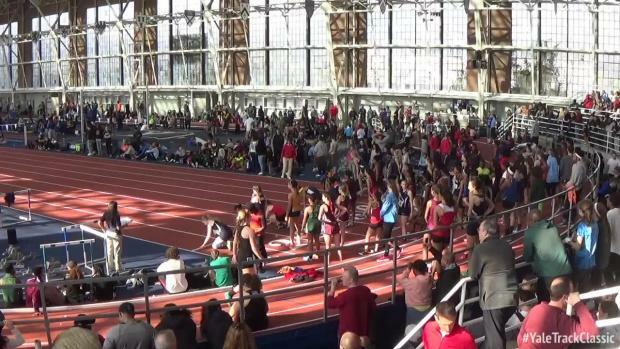 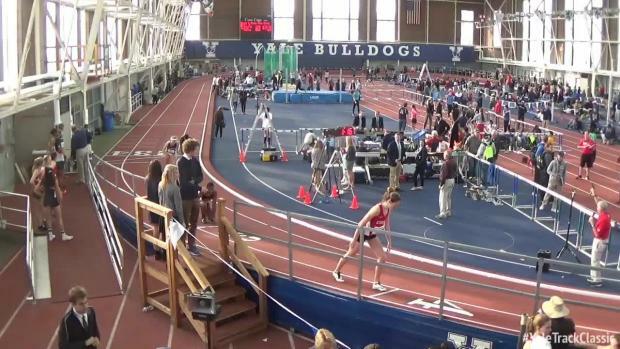 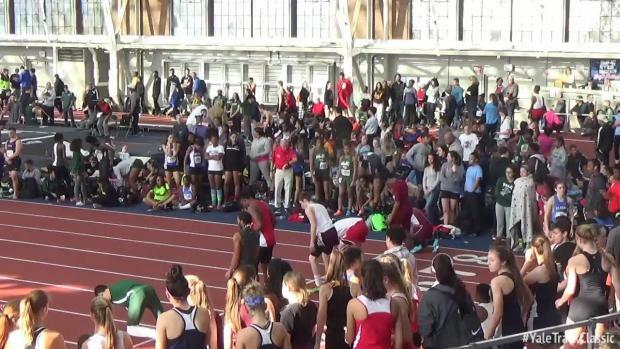 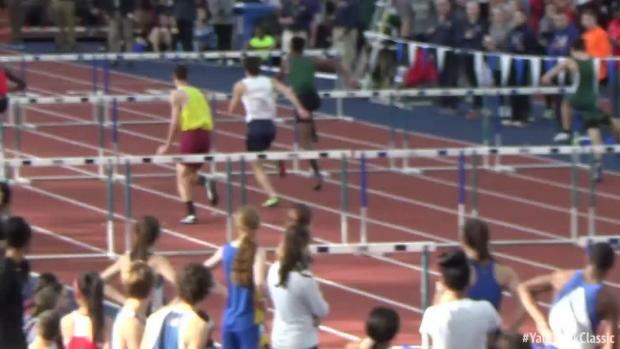 Before watching Yale this weekend, take a look back at last year's sickest races. 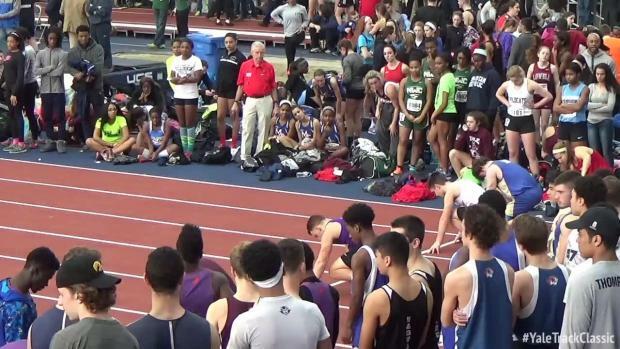 Top-50 performances in every event. 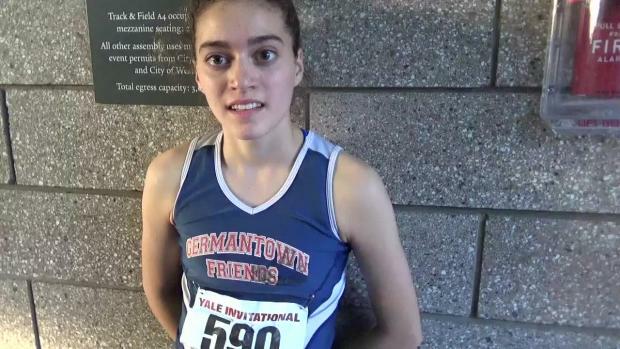 Germantown Friends' Sarah Walker returned to the half mile in a big way on Saturday in New England. 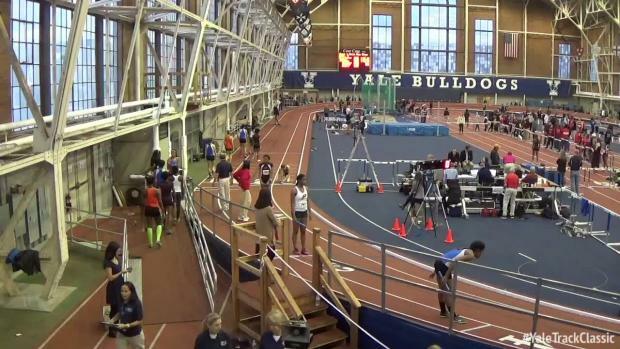 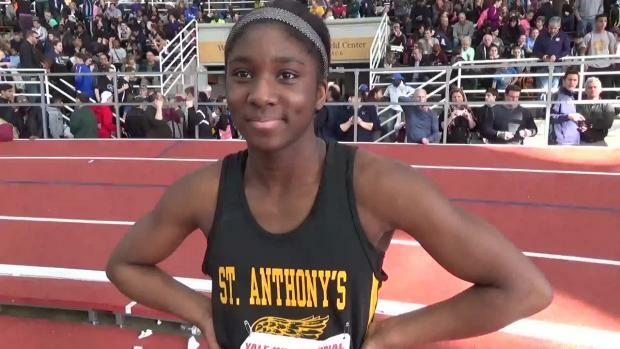 Check out the elite performances from Friday's events. 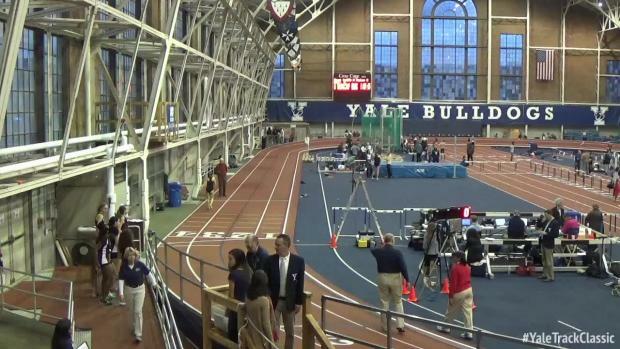 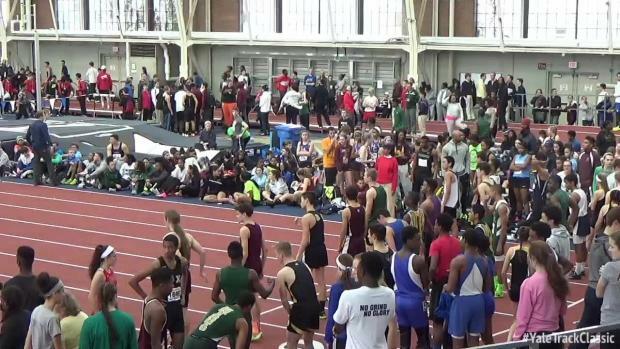 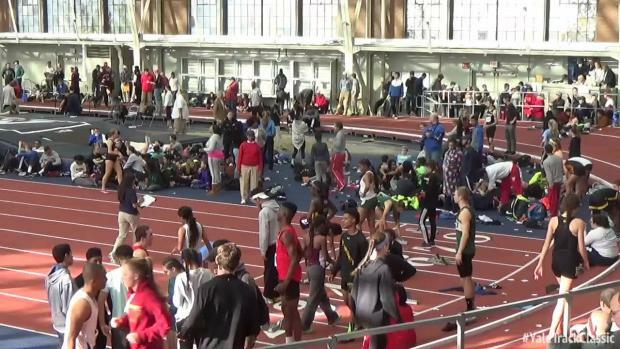 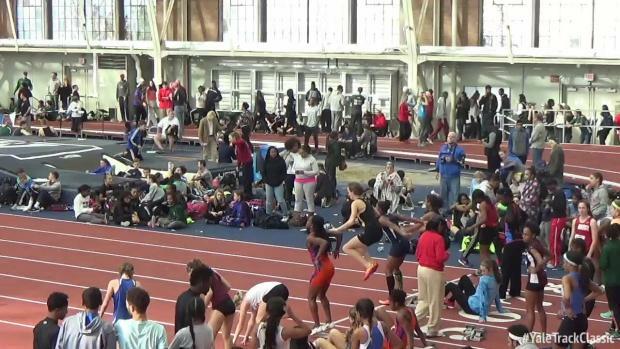 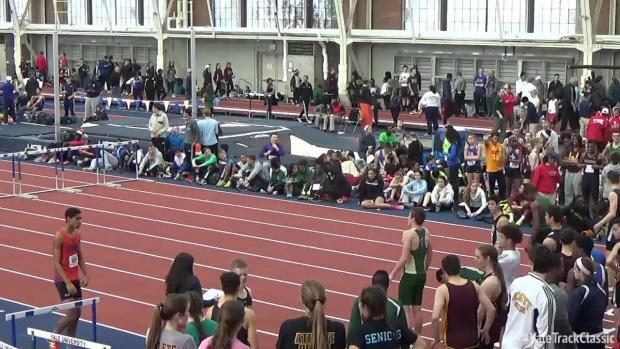 Watch all the action from Friday at Yale! 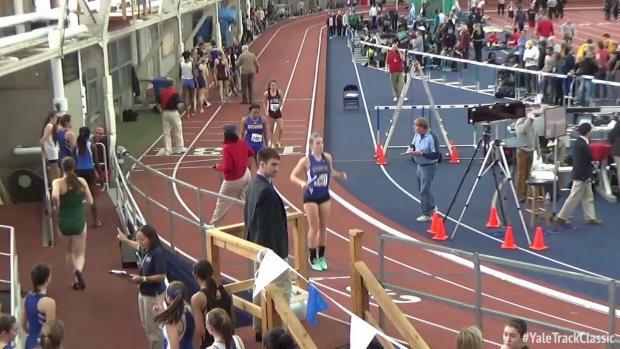 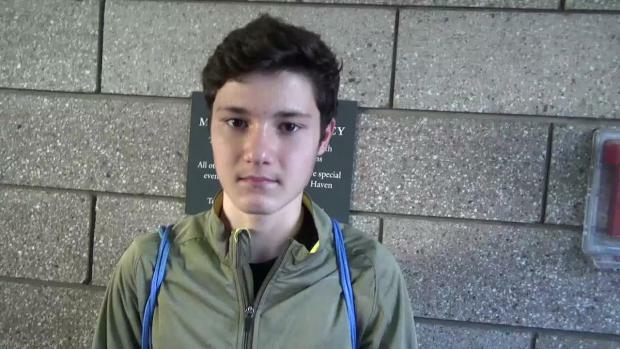 Glastonbury runner clocks winning time of 1:53.84. 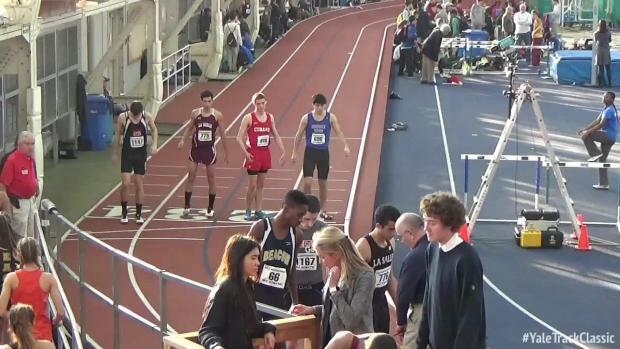 La Salle junior clocks US #3 of 8:26.51. 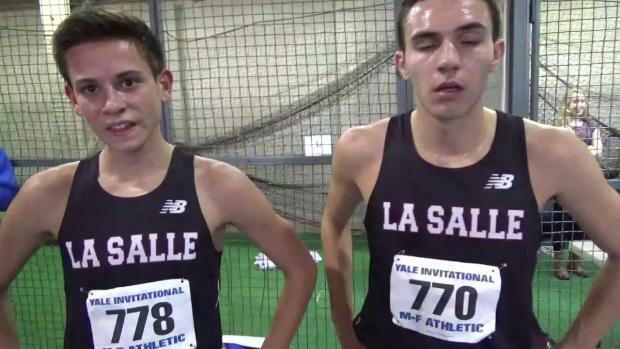 La Salle's Bouthillette takes fourth ( 8:29.49), Cumberland's Laverty fifth (8:36.39).